The smart speaker market continues to grow, with global shipments tripling from 3.9 million units. These speakers, integrated with virtual assistants like Alexa, Siri, Cortana is enabling users to perform tasks like checking the weather, asking to turn off the lights or play favorite music, set reminders, and a lot more with voice instructions. What is Regression Testing and How to Automate it? You take your car to a mechanic to get the air conditioning fixed and when you get it back, the air conditioning is fixed but the gas tank sensor no longer works. Something similar can happen to a software in the making. A new feature or update in the code can make the software return to a former or unwanted state, making it affect the rest of the functionalities. This bug in software is a regression. Infrastructure services consume a large part of IT budgets. It is therefore imperative for organizations to focus on cost and productivity of infra services to best utilize them. How to Set up an Offshore Development Center in India? Businesses worldwide are embracing the idea of IT Outsourcing. 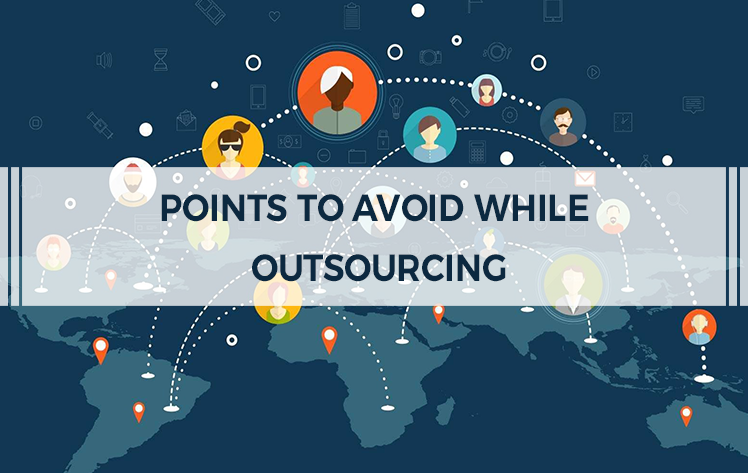 Cost optimization, skill crunch management, improved efficiency in product delivery are some of the initial-level benefits tagged with outsourcing. According to Statista, software application development and maintenance are two of the most outsourced IT functions, globally. Businesses want to ramp up their development cycle, launch application faster-to-market, reduce overhead cost, manage technical skill-crunch and more by outsourcing software development. Blockchain, which originated as the underlying technology of Bitcoin and other cryptocurrencies is becoming multifarious. It’s disrupting a number of industries, other than finance and businesses are turning it potential to their advantage. In this digital age, voice assistant technologies are constantly evolving at an exponential rate across the world. According to research by IDC, the worldwide market of voice-enabled devices is expected to grow at a 12% CAGR from 2018-2022. What is Low Code Development? By 2021, the market demand for app development will grow at least 5 times faster than IT capacity to delivery it, predicts Gartner. Amid cut-throat competition and skill-set crunch, it is difficult for traditional development approaches to keep up with the fast pace of business requirements. This is where low code development approach has become the pole star of the night sky. Amazon Web Services (AWS) and Microsoft Azure are the top 2 cloud service providers with a combined market share of more than 50% of the total cloud market. If there aren’t financial constraints, these two are the obvious choices when opting for cloud services. However, choosing one of them can be tricky. Technological developments are constantly evolving and trendsetting many ecommerce business processes, to enhance the overall customer experience. The impact of the latest technologies on ecommerce has been faster than ever, considering it the largest industry in the global economy with “e-retail revenues projected to grow to 4.88 trillion US dollars in 2021”. How much does it cost to build a carpooling app like BlaBlCar? What are the must-have features and functionalities in an on-demand ride-sharing app? Which technology is best suited for developing an carpool app like BlaBlaCar? AWS was the first to offer Infrastructure as Code (IaC) via AWS CloudFormation as a part of AWS DevOps. It enables developers and systems administrators to easily create and manage a collection of related AWS resources. They can provision and update them in an orderly and predictable way. Developers can use AWS CloudFormation’s sample templates or create their own templates. The concept of IaC is as old as the practice of DevOps. There are many experts who argue that DevOps wouldn’t be possible without the use of IaC. Is Security Token Offering Going to Replace Other Fund Raising Methods? Before the concept of crowdfunding, the only way for the early stage startups and founders with new ideas was to approach angel investors to get seed funding or go for VC (Venture Capital). On the other hand, established businesses opt for IPO (Initial Public Offering) to raise a huge amount of capital. It is not long when Blockchain was a buzz word and every business out there was rushing to hire resources for Ethereum development (Ethereum being one of the most popular Blockchains). But with time, the people and industry have matured, and now businesses emphasis on getting comprehensive Blockchain consulting services first before deciding to invest in the solution development. The rapid development and growth of Artificial Intelligence, NLP (Natural Language Processing) and Machine Learning has empowered voice technology. With voice assistants entering our everyday lives at a blistering speed, they are making major waves in the hospitality landscape. Tech leaders such as Google, Amazon, Microsoft have upgraded their amazing and interactive voice assistants in a way to enhance guest experiences. Why Connecting with Your Guests via Chatbots is a Good Idea? Hospitality industry relies heavily on the front line service delivery staff. And that’s why it is more prone to human errors. A small mistake in placing a zero in the customer’s bill, miscommunication in noting down the customer preferences, etc. can lead to loss of money as well as customer satisfaction. Taking a look back in 2018, there have been significant technological advances in the IT industry. Software technologies such as Blockchain, IoT, AI etc. have remained a hot topic in the past couple of years. However, these technologies are still evolving with much better use cases in 2019. According to a report by Gartner, the software industry is forecasted to experience an 8.3 percent growth in 2019. Shoppable Videos: The New Trend in eCommerce Content Marketing? Today, brands cannot go without videos in their content marketing strategy. 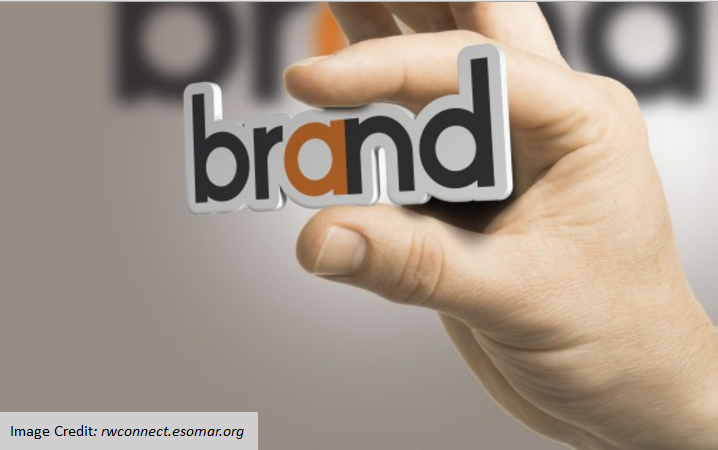 It is one of the quintessential approaches to engage customers and improve conversion rate. In fact, 90% of customers say videos help them make buying decisions. Chatbots VS Apps: What’s the Future? Cloud-Native Applications: Why it is the Next Big Thing in Software Development? The cloud-native approach to software development has brought a paradigm shift to how applications scale and self-manage themselves, as the demand surge. Off-the-Shelf or Custom Chatbot Development: What does your Business Need? As more customers engage in digital channels, businesses are implementing chatbots or virtual customer assistants (VCAs) for handling customer requests on websites, mobile apps, consumer messaging apps, and social networks. In Healthcare Industry, a lot of information exchanges happen between hospitals, doctors, clinics, pathology labs, blood banks, equipment manufacturers, and patients. Since the nature of the information is very confidential and personal, ensuring security of the data is of top most priority. At the same time, the information can’t be locked away in silos since ease of accessing this information is crucial to the functioning of an establishment providing healthcare services. According to a 2017 report by the World Bank and WHO, almost half of the world population can’t access basic healthcare services. The report further highlights that there is an inconsistency in the availability and affordability of healthcare services even in the developed world. For example, in America, a study conducted at Harvard Medical School and Cambridge Health Alliance founded that uninsured, working-age Americans have a 40 percent higher risk of death. The increasing business complexity and demand for highly scalable applications have brought a paradigm shift in how software applications are engineered. In the past few years, different software architectures are adopted by developers to reduce code complexity, improve fault isolation, and minimize time-to-market. 5 Key Areas where Healthcare Companies can Implement A.I. Human care and technology play a key role in the Healthcare Industry. While technology can’t replace the human touch and emotions, which is the soul of this industry, it can surely help in eliminating the limitations of human capabilities. Since its launch in 2011, Postmates has been a great success, with currently serving more than 100 cities in the USA. Major brands such as Apple, Starbucks, and Mcdonalds have collaborated with this unique business model of delivering goods through a network of couriers. The evolution of User Interfaces has been amazing. From Command Line Interface (CLI) to Graphical User Interface (GUI) to the new era of Voice-enabled User Interface, there is a paradigm shift in how users interact with a system (or vice versa). As a result of growing customer demands to build large-scale and complex applications, microservices has become a buzzword. The number of businesses building or switching from monolithic to microservice architecture is growing at a rapid pace. Leading companies like Disney, Airbnb, Twitter etc. are adopting microservice architecture to support continuous delivery and scalability of applications. Hospitality experiences that are personalized and memorable are at the heart of hotels. With the launch of Alexa for the hospitality industry, it is possible to create immersive experiences that can delight the guests and also improve operations & team productivity within the hotel. By the end of 2018 Q3, 25 billion have been downloaded from app stores. Considering the popularity and use cases, a mobile app has become an imperative part of a business’s tech-strategy. 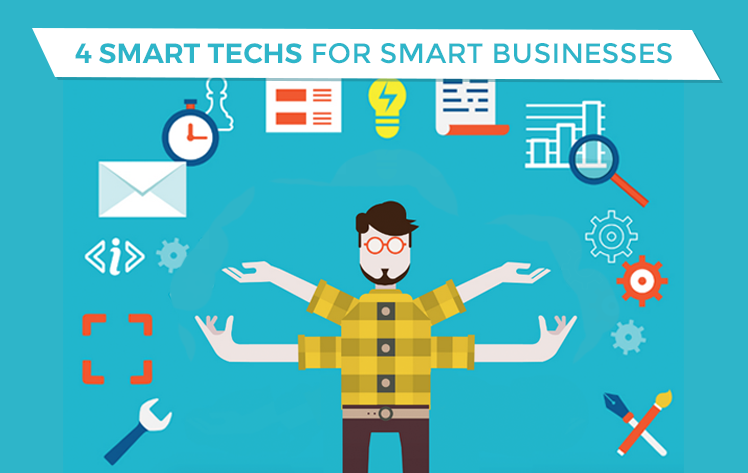 In this digital age, businesses cannot do without technology. Almost every industry, including hospitality, is leveraging the best of technology to attract, engage, and retain customers. Face recognization is one of the widely adopted use cases of Artificial Intelligence (AI). From mobile biometrics to social media apps, face and image recognization are used for enhanced user experience. In an Oracle hospitality survey, 2/3rd of U.S. guests said it is extremely important for hotels to continue investing in technology to enhance the guest experience. How much does it cost to build an online real estate brokerage app like Redfin? 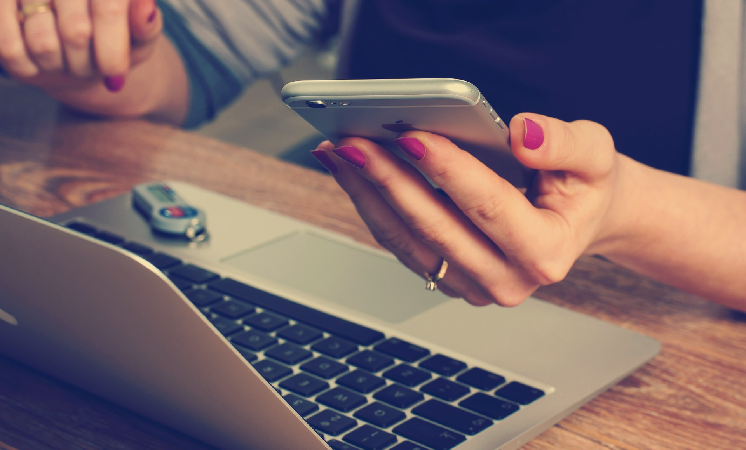 What are the must have features and functionalities in a real estate listing app? Which technology is best suited for developing a real estate app like Redfin? According to Gartner, there will be 25 billion voice-enabled applications and other IoT devices by 2020. There has been a significant growth in the adoption of virtual assistants across industries. Artificial intelligence improvements and other technological advancements are driving this growth of virtual assistants. Back in 2014, Gartner coined the term “low-code” to recognize platforms that enable users to build custom mobile applications simply by dragging and dropping pre-built features. These tools or platforms does what traditional development approaches (programming languages, libraries, frameworks) do for building an application, but in a fraction of time than the latter. From static websites to dynamic SPAs, frontend of applications has come a long way. Likewise, developers no more have to write long lines of code repeatedly to create mobile apps for multiple platforms. And in this progression of frontend development, tools, libraries, and frameworks have been the game changer. Just think of an eCommerce website that you last visited. You must have used the search bar of the site to look for the product you’re interested in. There must be some product recommendations for you, based on your last purchase. You might have added the product into cart and made payment to buy it. Why Insurance Companies are Betting Big on AI-Powered Chatbots? 25% of customer service and support operations will integrate virtual customer assistant (VCA) or chatbot technology across engagement channels by 2020, according to Gartner. 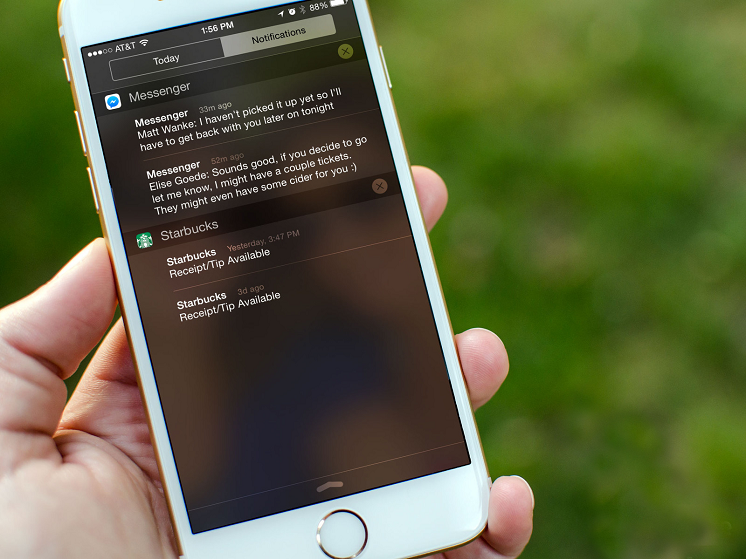 In the post-app era, chatbots are taking over the traditional mobile apps with their ability to mimic conversations and offer instant, digital connections. In fact, Gartner predicts that by 2021, more than 50% of enterprises will spend more per annum on bots and chatbot creation than traditional mobile app development. With mobile apps becoming an integral part of users’ micro-moments, there is a spike in the number of apps downloaded from the app stores, daily. The rising demand for mobile apps has resulted into introduction of new tools, frameworks, and libraries that can help developers to pick up the pace of development. Laravel vs Symfony: How do these PHP Frameworks Compare? 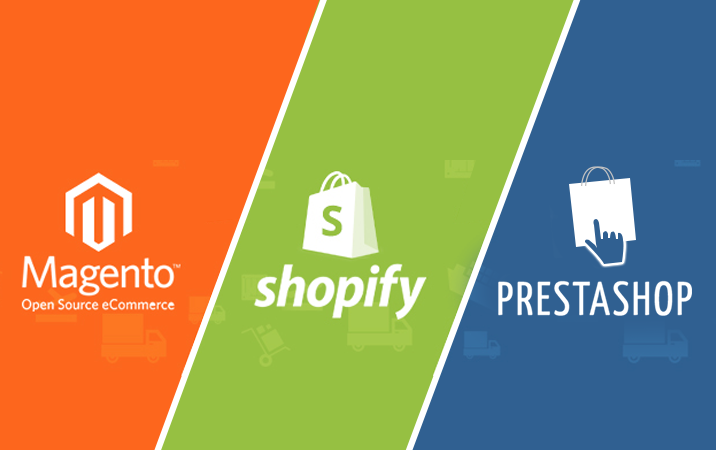 Magento is possibly the fastest growing platform in eCommerce space. 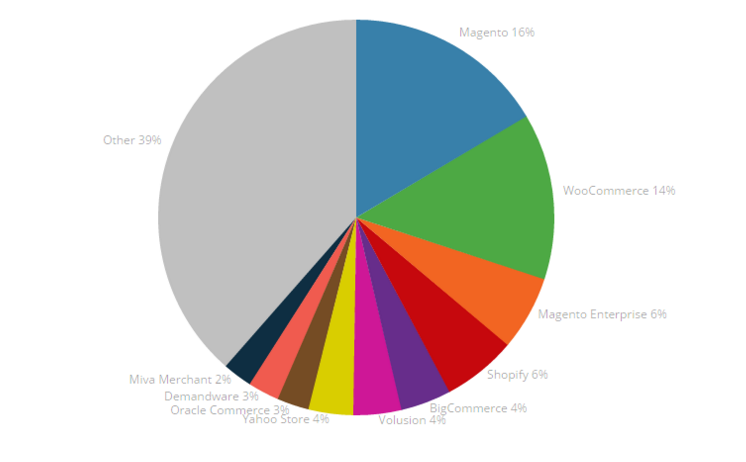 According to Magento’s 2017 yearly report, there was a spike in number of websites powered by Magento. What’s more, major brands such as Burger King, Nike, Pepe Jeans and Samsung are choosing Magento to power their eCommerce websites. With increasing complexity and demand for highly scalable and robust applications, the conventional monolithic architecture is no longer the best choice. After a certain threshold, monolithic architecture tends to hinder the application performance and scalability. Moreover, with an enormous codebase, making changes to the tightly coupled, dependent processes in the monolithic architecture drastically increases the impact of single process failure. Software applications are managing almost every critical aspect of a business. They are transforming the business models, streamlining significant processes, and improving the way value is delivered to the customers. Hence, a custom software- one that compliments the business and adhere to its requirements is a must have. Microsoft’s .NET is free, open-source developer platform for building server applications. The platform is entrusted for building web, mobile, desktop, gaming, and IoT applications using multiple languages (C#, F#, or Visual Basic), libraries, and editors. Cross platform development toolkits are winning over the developers’ community. Reusable blocks of UI, reactive performance, code usability on multiple platforms are some of the reasons why these cross-platform app development frameworks are gaining grounds. One such sought-after framework for mobile app development is Flutter by Google. The smartphone market has a duopoly of Android and iOS devices. Thus, to reach out to a wider user-base through mobile apps, it is imperative for businesses to have their apps built for both the platforms. To respond to this app development requirement, cross platform app technologies are becoming more prominent. Chatbots have revolutionized the way customers interact with businesses. According to HubSpot, “47% of consumers are open to buying items through a chatbot”. Thus, majority of organisations have joined the race of augmenting or building these virtual agents on their websites. Laravel vs Django: Which Framework to Choose for Web Application Development? Despite the rising demand for mobile apps, websites and web apps have an undeniable significance to businesses. Technologies such as Android Instant Apps, Progressive Web Apps, Accelerated Mobile Pages, Single Page Applications are changing the face of modern web. Benefits of cloud are no more limited to shared infrastructure to host an application. Cloud-native, that leverages loosely-coupled components of cloud for application development is gaining grounds in the software industry due to its exponential scalability and increased robustness. Shoppable Videos: A New Trend for Global Fashion Brands? The rapid digital developments in eCommerce sector has brought us to a new phase of online shopping experiences worldwide. By 2020, 80% of consumer traffic will derive from online videos, as revealed in a study conducted by Social Media Today. And it is of no surprise that we reflexively respond to videos faster than any other content. The healthcare industry is leaverging digitization and consumerization for connecting patients with relevant providers. Remote consultations, patient portals, appointment booking platforms, online pharmacy are some of the prominent modes for patients and providers to access and deliver care, respectively. AWS vs Google Cloud : Which Cloud Service Provider Should You Choose? The global trends in technology are shaking the industry architecture, resulting in disruptive non-conventional business models. Healthcare industry is no exception. Healthcare software companies are starting to innovate their business models in order to respond to new trends. Reusable code, faster time-to-market, reduced cost, and native app like performance are some of the prominent reasons behind acceptance of cross-platform app development. The software development process has witnessed a paradigm shift over the past few years. From following Agile delivery approach to automating processes with DevOps, there is a continuous strive for efficient, faster, and comprehensive product delivery to client. Kanban vs Scrum: How do these Agile Frameworks Differ? The idea of adopting an iterative development approach has been gaining grounds in the software industry. Agile methodology for project management, which was introduced back in 2001 has transformed the way software development companies deliver the product throughput. The Kanban Vs Scrum tilt has been going on for quite a time now. Here are the key differentiators that hold them apart. Businesses nowadays are taking advantage of new technologies and models that originate and develop in consumer space, rather than the enterprise IT sector. In effect to this impact, called consumerization, businesses are leveraging mobile apps to reach out to their potential customers and engage with them. React VS React Native: How do these App Development Technologies Compare? If we go with the words of Steve Jobs, then certainly, developers are the real designers of a software product, as no one else but a developer knows how a product actually works. Daffodil Software, a global provider of software services attains accreditation from Amazon Web Services (AWS) as a Standard APN Consulting Partner. With Agile methodology for software development, the battle of defining processes, structures, and plans for seamless product delivery has come to an end. Contrary to the traditional development models, Agile allowes organizations to respond faster to the functional, technical, and market changes. Thanks to the proliferating on-demand economy, there is a convenience in how people hail a taxi, book a room, and even buy prescribed medicine. The idea of delivering essentials at the doorstep is gaining grounds and businesses are cash in on it. Chatbots are renewing the way businesses interact with customers. By offering instant, on-demand assistance, chatbots are fostering engagement between brands and their customers. Digitization is reviving the healthcare system, at both patient and provider end. While options like patient portals, mhealth apps are simplifying care-access for patients; solutions like electronic Health Records (EHR), Practice Management System (PMS) are offering innovative modes to streamline care delivery and manage administrative operations for providers. How to develop a real estate marketplace like Zillow? How to build a real estate and rental database like that of Zillow? It’s free to browse properties in Zillow. How does the real estate search engine makes money? eCommerce integration is synchronization of an eCommerce website with its backend systems such as an ERP or a POS. 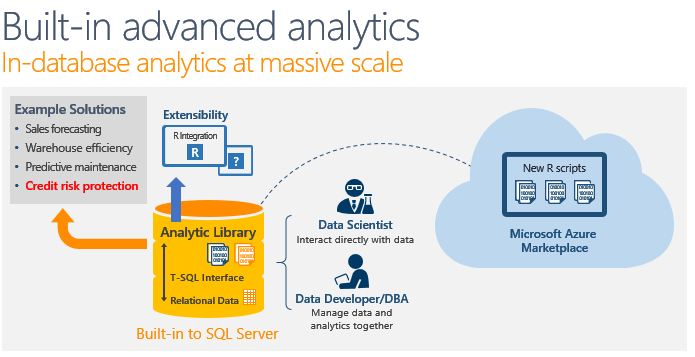 It helps in seamless, two-way flow of data and information, which increases efficiency in processes as data across connected interfaces gets updated automatically. How much does it cost to build a music streaming app like Spotify? What are the must have features and functionalities in an audio streaming app? Which technology is best suited for developing an audio and video streaming app like Spotify? The proliferating concept of on-demand healthcare is reviving the old-school care delivery models and online-pharmacies offering medicine on-demand is one of its crucial components. By 2035, 812.2 million people worldwide will live in urban areas with a population of 10 million or more. As the urban populace continue to grow, the city municipalities are striving to create a better living environment for its digital natives by leveraging technology. 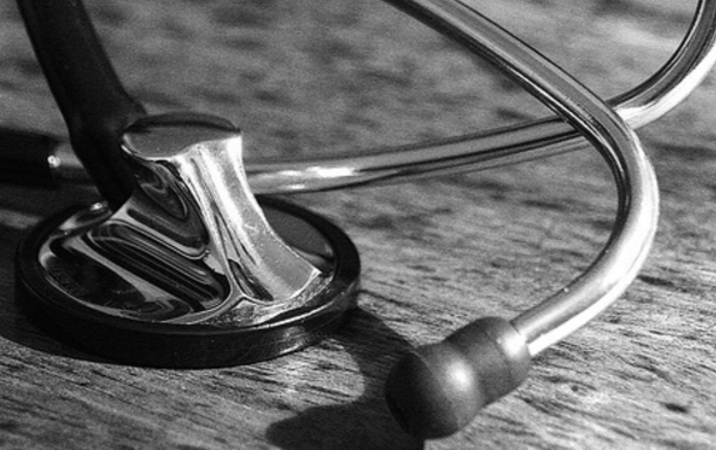 How much does it cost to build a healthcare marketplace like Zocdoc? What are the must have features and functionalities to build an app like Zocdoc? Which technology is best suited for developing an appointment booking app like Zocdoc? The Android app store has 3.8 million apps followed by 2 million apps in the iOS store. Amid such neck stiff competition, how will you differentiate your app from the millions out there? Online shopping is a thriving market. In 2021, over 2.14 billion people worldwide are expected to buy goods and services online, up from 1.66 billion global digital buyers in 2016. As a result, the retailers are realizing the business benefits of selling their products and services online. How to make Software Outsourcing work with Agile Methodology? Despite the notion that Waterfall is a risk-free approach to software outsourcing, there is a continuous rise in adoption of Agile methodology for developing consumer-centric solutions. However, the collaboration of an 'iterative' development approach and offshore outsourcing has been a subject of debate for decades. How to Integrate Gamification in Healthcare Apps? From helping healthcare professionals in diagnosis to encouraging patients to adopt life-saving behaviour, gamification is changing the healthcare landscape in many fronts. This user engagement approach, which uses game elements and digital game design to deal with everyday problems is gaining grounds in health and fitness app industry. How to get a 5X Better Software Engineering Team? The IT ecosystem constantly proliferating with new tools and technologies. Accommodating the broad spectrum of programming languages, libraries, and frameworks in a software engineering team is certainly out-of-scope. In the current age of digitization, there is hardly a business that goes without having a software application. From automating internal processes to improving the customer experience, a software application (in one form or the another) is a major reliance and driver of businesses, irrespective of the industry. The healthcare industry is embracing digital transformation at a rapid pace. This shift, which is driven by the rise of internet and technology is projected to add more power to the way value-based care is delivered. Software application development is the widely outsourced IT functions, globally. This broad segment includes outsourcing an arrangement for a range of application services, including software product engineering, maintenance of legacy systems, offshore programming, management of packaged applications, and team augmentation. Obsession with fitness, combined with convenience, immediacy, and flexibility is fostering the demand for health and fitness platforms. The result of this supports the rise of technologies that tracks, informs, and manages the fitness routine, such as wearables and smart watches. How Gamification can Improve User Engagement in Healthcare Apps? For engaging user with an app, it is imperative to capture their attention and give them a medium and motivation to take an action. To foster this kind of engagement within mobile apps, gamification helps. Over the years, organizations have been implementing Agile methodologies to speed up the software development cycle. While Agile was initially embraced for development process, it has progressively expanded into other downstream areas, i.e. IT and Operations. It has helped team to streamline the development process, receive timely feedback for improvements, has ensured that the entire process picks a pace for on time product delivery. Internet has been highly criticized for ruination of the music industry. Back in decade, when the industry failed to cope up with the piracy risk that the internet brought along, there was a major dip in the physical sales (through CDs and related sources), which was then the major source of revenue. Initial Coin Offering is one of the innovative use cases of Blockchain, enabling startups and naive companies to raise initial capital for their business ideas with potential. However, this now-famous mode for crowdfunding overcame a number of technical and functional ambuguity in the system, leading to inundating rise in its acceptance. With data becoming the new currency, it’s no wonder that software applications are the top attack vector of the hackers. The recent past has witnessed some major data breaches; the Facebook–Cambridge Analytica data scandal, Equifax data breach are to name a few. With such data breaches putting user trust and interest in businesses at stake, it has become imperative for them to ensure that steadfast development practices for development are adopted. In the uber-competitive business world, unplanned downtime and issues with production environment can be detrimental. It can put customer trust, revenue, and productivity to halt, which is un-affordable for businesses of any size. Recognizing the opportunities that this billion-dollar industry brings in, a slew of startups are focussing to develop technology-centric solutions that can streamline construction projects and enhance productivity. With digital media gaining momentum, internet consumers have the privilege to enjoy their favorite music through streaming services. FM Radio, the technology introduced almost eight decades back is still one of the biggest source of infotainment with music proffered with news, sports, politics, and more. Over the past few years, industries like healthcare, finance, entertainment, and transportation have been making headlines for leveraging tech in their businesses. Now, a new generation of internet entrepreneurs is focusing on better housing by embracing tech into the highly conservative, but competitive sector, the real estate. Despite having a large share of shoppers, online retailers are trying hard to get the customers to the cart and complete the purchase. Studies suggest that an average cart abandonment rate is 68% (which is huge). The reasons may range anywhere from price tag of the product to issues in processing payment. In the hyper-competitive on-demand landscape, there is a constant struggle to stay ahead in the game. With speed and convenience being the major drivers of on-demand economy, companies spare no effort to deliver their services, whenever and wherever the customer demands. Consumerization is shaping the business landscape, making enterprises take advantage of new technologies and models that originate and evolve in the consumer space. With mobile devices and apps becoming an inevitable part of consumers’ routine, they are transforming the way businesses reach out to their prospects. Building Blockchain applications requires prowess in cryptography, coding, mathematics, and significant resources. However, with Ethereum, such complex requisites for Blockchain application development can be turned down with tools that Ethereum brings along to build and deploy decentralized applications. The multi-trillion dollar healthcare industry is adapting to modern ways of delivering care, amongst which telehealth is the one. The idea of distributing health-related services and information through telecommunication technologies is diminishing the gap between patients and providers. By allowing both ends to make a contact, share advice, monitor health; telehealth services bring a paradigm shift in how care is delivered and received. Google hosted its I/O Conference 2018 that brings together developers from around the globe annually for talks and have hands on learning with Google experts. CEO, Sundar Pichai along with his key executives took the stage and announced major add-ons to Google Assistant, Google Photos, Google Maps and other proprietary products. DevOps represents a shift in IT culture. With adoption of agile and lean practices, the software development approach ensures rapid IT service delivery. Entrepreneurs are vigorously capitalizing on the ‘Uber for X’ model. They are covering almost every vertical that holds the potential to reinvent the conventional way of doing things or simplify consumers lives. The idea of matching consumer demand with relevant services, which started back in 2009 with a taxi-booking app called Uber is creating a ripple-effect now. The trend of creating an Uber for X is taking (almost) every industry by storm, and logistics is not behind. Around half of the world’s urban population lives on unnamed or unmarked streets and houses, most of which is from developing or underdeveloped countries. -estimates World Bank. On-demand ride sharing, wherein apps and digital services are used to organize a taxi or vehicle sharing is marking the growth of connected mobility sector. By 2020, around 685 million people are predicted to use ridesharing services, worldwide (Statista). The global on-demand transportation market is expected to reach $290.3 billion by 2025. -Grand View Research, Inc. Thanks to proliferation of mobile device and applications, there has been rising adoption of on-demand transportation, globally. Services such as e-hailing, car sharing, car rental, station-based mobility are offering a productive space for the transport industry to thrive. Hundreds of technologies debut every year to transform the conventional way doing things. While some of them run down, there are some that hold the potential to cause disruption and become a trend. Ever since their introduction, Blockchain and cryptocurrency go hand-in-hand. The Blockchain concept is complex, and involves an ever-growing database of records, saved in blocks that are linked to each other and are cryptographically secured. Back in 1930s, 40% of the doctor-patient meetings were done through house calls. This was the general practice, wherein a doctor or a professional used to visit the patient’s place, following a consultation request from them. By 1980s, this was reduced to 0.6% as the advancing technology and specialization was not reachable to patients out of clinical/hospital premises. Why Choosing the Right Software Development Methodology Matters? Deciding on a relevant methodology is oftentimes an unestimated part of software development cycle. However, it is one of the elements of SDLC that can get your project on the way or get on its way. On-Demand Economy: What’s Making it a Billion Dollar Opportunity? From LPs in 1960s to vinyl in 1970s, cassettes in 1980s, CDs in 1990s to music streaming on Soundcloud today. The evolution of music distribution has been tremendous. While the need to buy and sell the music remained unchanged; technology, innovative products, and business models have made delivery of music faster, efficient, and customized for consumers. The term precision medicine may be relatively new for many, but the approach has been a significant part of the healthcare industry. Basically, the concept is to understand specific requirements and characteristics of an individual, before treating them with the custom medication. Conversational platforms have introduced a paradigm shift in how humans interact with the digital world. For businesses, they are fostering a personal connection between users and the brand that’s ultimately adding value to the customer service. In the massive influx of technologies, Artificial Intelligence (AI) has proven its potential with some disruptive solutions. With rapid unfolding of positive possibilities that AI can bring in, it has been revolutionizing the way businesses team up with technology, irrespective of the domain. By now, you must have heard of the term Bitcoin; the digital currency that made headlines all over for its phenomenal rise (and occasional fall) in value. Bitcoin was the first cryptocurrency that was famed for its computer encryption, preventing many from making fraudulent transactions online. Businesses, irrespective of the domain are realizing the benefits of new technologies and models that originate and develop in consumer space. This impact, called consumerization has been affecting (almost) every industry and healthcare is no exception. As the Blockchain technology matures, the digital world is realizing the opportunities that it brings in. Crowdfunding through cryptocurrency is one of the ingenious benefits of Blockchain that startups are utilizing, globally. The concept is popular as Initial Coin Offering (ICO). As the programming ecosystem proliferates, a number of frameworks, libraries, and tools are being introduced to simplify the software development cycle. They are not just trimming the lines of code, but, are reducing the time from prototype to production. Continuous Integration (CI) is a software development practice, wherein isolated updates to a code base by developers are immediately tested and reported. CI aims at early detection of bugs in code or defects in software functionality. The entire process works in conjugation with automated testing tools that ascertains Continuous Testing (CT) and Continuous Deployment (CD) of the software. Do you really want to keep paying for your dedicated cloud servers, even when they are running idle? If not, then developing an application with serverless architecture will show you the way out. The digital landscape has changed remarkably over the past decade. Almost every business, irrespective of the industry is realizing the digitization benefits and embracing it as well. With this, digital data is generated, faster than ever. In fact, some of the industries are at a point where manual data analysis is a next to impossible job. This has driven the rise of Machine Learning (ML), which is the ability of machines to analyze big data and extract information, just like humans do. React vs AngularJS: How do these Frontend Development Technologies Compare? Chatbots are revolutionizing the customer service space. These stand-alone conversational interfaces that utilizes messaging platforms or apps for conversation are predicted to change the quality and pace at which customer service is rendered. With this, chatbots are not just an innovational window for customers but also a way for businesses to save hundreds of dollars (with fast and automated response rate). A patient’s accountability and engagement in their own health is reforming the care delivery system. When patients take charge of their medication, an adherence system can help them achieve the treatment or output expected. What are Smart Contracts and How do they Work? Paper contracts is an old-school approach for binding agreements. Involving multiple intermediaries, several rounds of negotiations, and a lengthy administration of finalized agreement is no more a standard practice. While digital documents are an effortless alternative to these traditional contracts, they are easy to forge. Technology advancements, healthcare reforms, and ever-changing patient requirements in healthcare poses a number of challenges for the providers. To overcome them and achieve customer experience objectives, it is important to construct a system that supports real-time orchestration of healthcare resources (like data, people, devices, facilities). No matter how great a business idea is, its existence and endurance is difficult without sufficient funds. Since long, Initial Public Offering (IPO) has been one of the popular and regulated fundraising schemes, which, today is challenged by Initial Coin Offering (ICO). Thanks to the steeping rise in popularity of cryptocurrencies and Blockchain. What are Blockchain Wallets and How do they Work? Cryptocurrencies are causing a stir with their skyrocketing value. With this, the demand for Blockchain wallets is rising as well. By the end of 2017, over 21 million users were reported to be using the wallets for transactions of their digital currencies (according to Statista). 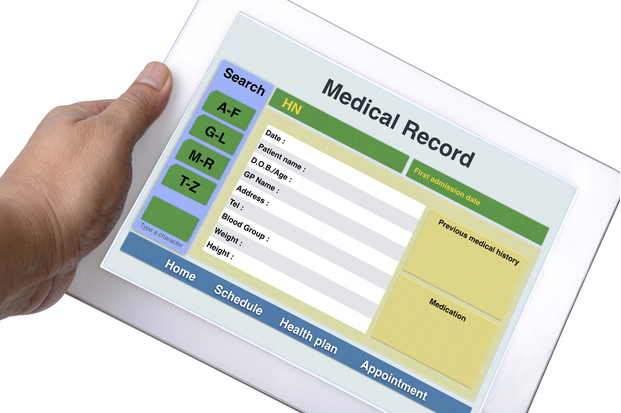 Electronic Health Records (EHR) is a system that contains patient-centric information, saved electronically. This may include an individual’s health status, demographic data, or clinical information (like lab reports, radiology, or pharmacy data). How to Launch a Blockchain ICO? Naive companies and startups usually turn to angel investors and venture capitalists for fundraising. In order to receive an initial capital aid, these startups give away a part of their equity to the investors. While this idea has been prominently adopted from years, startups today are more interested in holding on to their ownership, and still secure funds for development. This is where Initial Coin Offering (ICO) comes into picture. Ever since dynamic websites started to improve user experience on web, developers have been particular about the backend development technology of their application. While PHP and Nodejs are two most favorable options available for the modern web; making a choice between the two is definitely a hard job to do. Patient portals can go a long way in bridging the care-delivery gap between patients and providers. This modern technology has a major role in keeping patients informed, involved, and connected with care providers. The anatomy of web and mobile interface has undergone a major shift from Text User Interface, Graphical User Interface, Touch User Interface to Conversational User Interfaces (CUIs). This progress in UI models indicate the goal of creating user interfaces that closely reflect human communications. Since voice has been the core of human interactions, it is also becoming the new way we interact with gadgets and mobile devices. Blockchain is a cryptographically secure, shared, and distributed ledger of records, aiming to simplify transfer of digital assets from an individual to another. It’s a peer-to-peer network, wherein thousands of computers are connected, running complex algorithms to validate a transaction. Patient engagement portals are the latest buzz in HealthIT. With people willing to be informed about and motivated to be involved in their own medical care, patient portals are serving the purpose with an accessible and affordable approach. How to Get More from your Cloud Platform? Optimally utilizing the cloud platform with the right service mix and combination of cloud Service provider will not only result in big savings but also augment overall performance of the application. 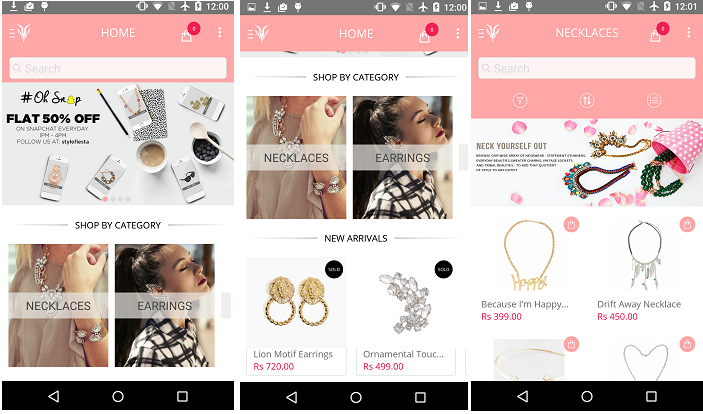 Why your eCommerce Business Needs an Extension to Mobile App? By 2021, over 2.14 billion people worldwide are expected to buy goods and services online. These numbers indicate the upcoming opportunities that online commerce brings in, for both, brick-and-mortar and web-only retailers. Cryptocurrencies, especially Bitcoin is making great strides, leaving many curious about its underlying technology. For those religiously following the cryptocurrency sphere must have discovered the contribution of Blockchain in securing the transactions. 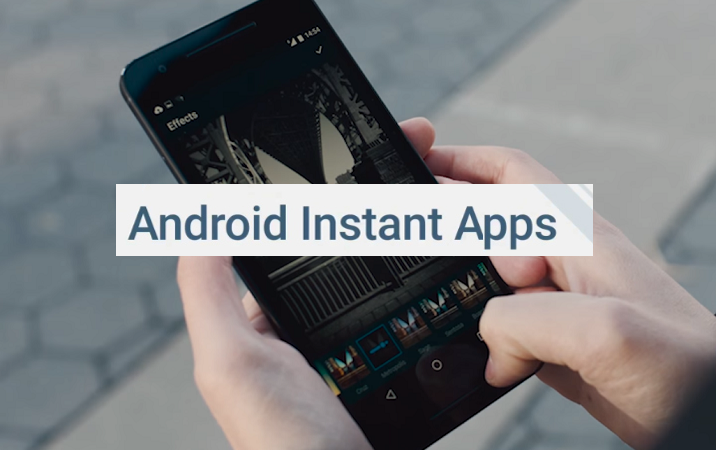 The use cases of Instant Messaging (IM) apps are no more limited to sharing short text messages. IM apps today are facilitating users to share files, video chat, clickable hyperlinks, create conversation backup etc. Alongside some exclusive features and functionalities, these apps are backed with some essential security features that is helping them to enter into the business world as well. The hype around cryptocurrencies (like Bitcoin, Ethereum) unveiled a disruptive technology, called Blockchain. A Blockchain is a virtual, public ledger, which uses cryptography to store permanent and tamper-proof records of transaction data. DevOps is a business-driven approach that utilizes agile methodology, automation, and collaboration for seamless product development. Often considered as a ‘disciplined agile practice’, DevOps emphasizes upon integration of development and operations team for delivering better, frequent product cycles. 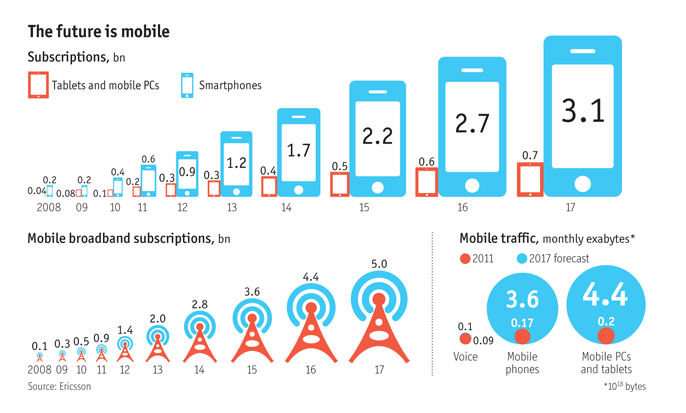 There has been a tremendous hike in the number of mobile device users, globally. The smartphone penetration rates are increasing, with over 36% of world’s population projected to use a smartphone by 2018. Moreover, iPads and tablets are retaining a great market share as well. Healthcare delivery organizations (HDO) are striving towards a system of care, which is accessible and affordable. One of the major steps in this concern is enterprise virtual care system that aims to reinforce the conventional F2F delivery of care. Natural Language Generation (NLG) is a subdivision of Artificial Intelligence (AI) that aims to reduce communicative gaps between machines and humans. The technology, typically accepts input in non-linguistic format and turn it into human understandable formats like reports, documents, text messages etc. App Entrepreneurs are making amazing dollars, everyday. Their innovative apps are making way to billions of smartphones, worldwide. Mobile apps like Shazam, Clash of Clans, Pokemon Go and their popularity is an inspiration for many to become an independent entrepreneur. Every business has got a distinct user-base and therefore a unique solution/service to offer. For developing applications that are reliable, flexible, scalable, and customized to simulate business values and services, Drupal has been in service from over a decade. 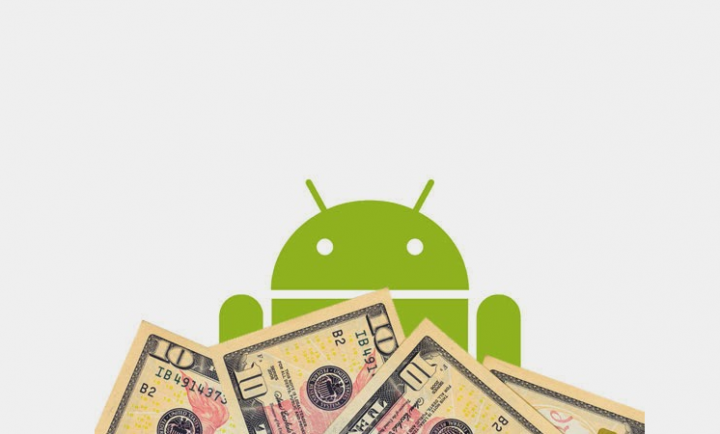 Mobile apps have given rise to a gold rush in the software industry. With a view point that there is an app for (almost) everything, users are hosting a new app in their smartphones, every then and now. As a result, the smartphones today are falling victim to app fatigue. The collaboration of Agile and DevOps has invoked doors for an innovative and rapid software development model. While DevOps is often considered as an extension to Agile, one stream of development that hasn’t seen much growth is Software Testing. Drupal is web content management software (WCMS), specializing in custom application development. With over 1000+ websites backed with Drupal, it is one of the top-rated platforms for building custom apps on web, supported by set of native features and module extensions. Today, the enterprise IT sector is affected by, and taking advantage of various new technologies and models, derived and developed in consumer space. This trend, called ‘Consumerization’ is impacting the enterprise-wide in a number of ways, which includes the usage of instant messaging for business. 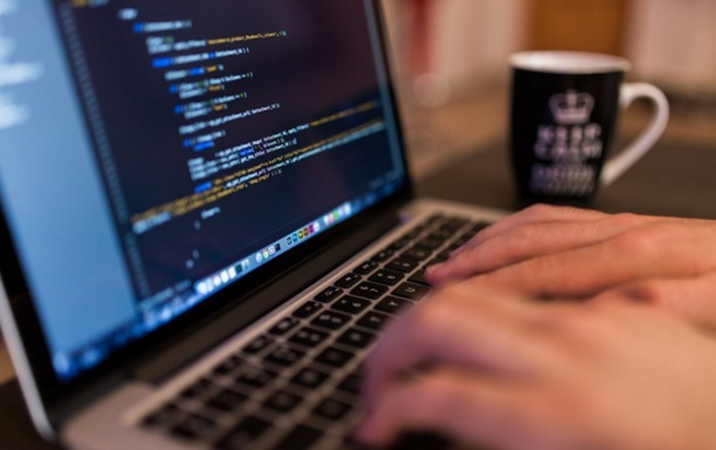 Outsourcing Software Development: Why India is the Front-Runner? In the era, when companies are betting on offshore/nearshore outsourcing for various IT and business services, teaming up with the right technology partner holds the core of enterprise wide strategy. Here, we confer upon India being the front-runner in offshore outsourcing for software development. With online shopping being the most popular activities worldwide, the eCommerce sector is expanding by leaps and bounds. Amazingly, a recent study by Business Insider suggests that as much as 85% of customer interactions will be managed without a human by as soon as 2020. The Agile and DevOps theory is the topic of talk in IT organizations. However, there prevails a lot of confusion about the two, when it comes to differentiating between them and defining their benefits. Here, we try to understand the same with differences and similaries between both software development practices. Digital healthcare system is orienting towards delivery of accessible and affordable care. With healthIT ecosystem maturing at full tilt, it is embroiled in the endeavours to manage chronic disease at personal and public level. We often receive emails from people who either have an idea or want to develop an app similar to existing big fishes like Uber, Facebook, Whatsapp etc, but with an addon feature.They generally inquire about a fixed price proposal along with timelines, however, they have a very limited understanding of the features or requirements for their products. Banks around the world are strong in their endeavors to move from conventional to convenient banking. The concept of digitized banking is not new and is prevalent since the advent of ATM machines and cards, back in 1960s. This was followed emergence of internet in 90s and proliferated use of smartphones that made transactions possible, without ATM machines. The Health Insurance Portability and Accountability (HIPAA) Act was signed in 1996 for smoother and secure health insurance transactions. Later, with the emergence of electronic sharing of records, more policies were added to protect patient data during electronic transactions. Any individual or entrepreneur, having a mobile app idea or development in progress set their hopes on app virality. Driving millions of downloads, app shared with word of mouth, positive reviews on app stores, high retention rate, and excellent revenue. Who doesn’t want that. DevOps have become an integral part of application development and delivery. However, embracing the benefits of DevOps for mobile app development is not possible without addressing to the challenges of confronted while development, testing, and release of the app. This segment discusses the major challenges of mobile DevOps with some reliable practices to overcome them. Let’s get started. Over 75% of consumers are interested in receiving virtual healthcare services but only 1 in 5 can have access to it, according to a survey results by Accenture. Certainly, tech-enabled virtual healthcare system has been offering some creative ways for care delivery. However, affordability and accessibility has been the biggest challenges, still waiting to be addressed. Amongst the various, existing models of virtual care delivery, one that is reaching the plateau of productivity is Patient Portals. The accelerated market hype around Artificial Intelligence has made it a buzzword of almost every industry. Businesses, irrespective of their industry are interested to invest in the potential of AI to automate, assist, and augment various value-based tasks. Almost half-decade back, businesses experienced a massive shift in how users accessed their services online. There was a staunch and steady switch to mobile devices, which enforced businesses to make their existing applications compatible to them. Technology is disrupting every industry, in the most significant way. And today, it is impossible to shrug off technology’s ability to let us live longer, healthier lives. From smart hospitals to surgical robots, we could see digital healthcare system transforming the patient care, pronouncedly. Mobile apps are a part of our micro-moments. From latest news to fitness logging to finding way to meeting, we reach out an app for almost everything. That is why, businesses ascertain that they include mobile app into their technology roadmap. The AI impact on capital markets has never been profound as it is in the present times. AI has certainly taken the finance world, especially banking and investment services by storm. Artificial Intelligence is a suite that comprises of a set of tools- like machine learning, natural language processing, deep neural networks etc. that are impacting almost every industry, in the most efficient way. How to Estimate Cost of App Development? Mobile apps continue to be the elementary drivers of businesses today. From startups to Fortune 500, from consumer-facing (B2C) to business-facing (B2B), almost every business model is involving mobile app into their technology roadmap. The ever growing interest of businesses and the market hype for Artificial Intelligence (AI) is making it one of the predominant element of tech-industry. AI, essentially is a broad term that defines the ability of machines to exhibit human intelligence. While real-AI is a near future, the current AI technologies are still offering a level playing field to almost every industry today, including healthcare, manufacturing, transportation, and many others. The collaboration between investment banks and fintech brings in endless opportunities to the capital market industry. Financial technologies are evolving and in the third quarter of 2017, value of the international debt capital market transactions reached $1,056 billion. Augmented Reality (AR) is the buzzword of tech industry today. The idea of taking digital or computer generated information (audio, video, images, touch, or haptic sensation) and then overlaying them to the real environment has been accepted enthusiastically. While AR can augment all five senses, but its present use cases are mostly visual. Whether for a signup flow or access to gated content, a form is one of the significant ways to set interaction between the user and the app. That is why, paying attention to the details while designing UI/UX of a form is imperative. This segment shares a list of do’s and don’ts for a mobile app form design. Hybrid apps are often looked on as a cross platform app development solution. They are essentially small websites that runs under a native wrapper. And therefore, instead of serving as a web page, hybrid apps work as a standalone application. The duopoly of mobile Operating Systems is quite transparent. With over 46.68 million iPhone shipped worldwide in the fourth quarter of 2017, Apple is the second-largest smartphone vendor in the world. The app development market is quite volatile in terms of technological advancements. This exhibits the fact that the industry is open for change, when it comes to developing robust and productive applications, which are cost-effective as well. 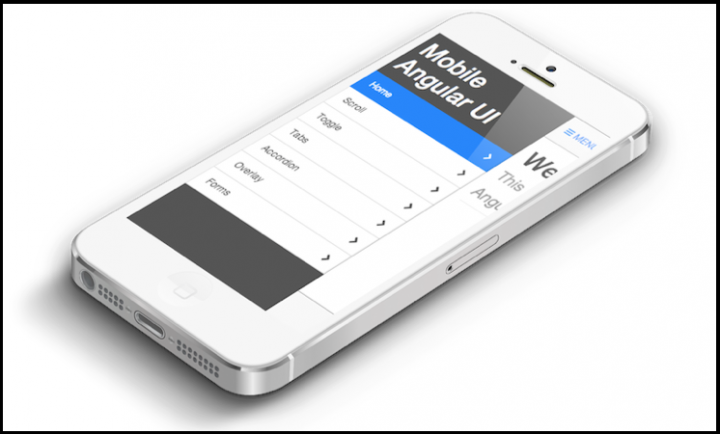 Ionic is HTML5 framework, meant for hybrid mobile app development. Hybrid apps get the better of native apps, in terms of support to multiple platforms, access to third party code, and less time-to-market. Cross platform app development triumph over native app development in the matter of cost, time to market, logic sharing, code reusability, and performance. That is why cross platform app development frameworks and developers are in demand. Designers swear by the benefits of a modest UX design. And to come up with an app experience that engage users and drive conversions, they follow the latest principles of UX designing. But despite that, we find them musing over the low retention rate of the app due to unimpressive user experience. Big data is inundating businesses, persistently. The idea to collect, analyze, and act up on a set of data is harnessing businesses to make informed decisions and have a strategic plan for time ahead. Moreover, big data has been the driving force for most of the trending technologies today. Machine Learning, Deep Learning (subsets of Artificial Intelligence), Internet of Things (IoT), Hadoop, NoSQL etc. are strongly backed by big data for processing the results. The Internet of Things (IoT) has been gaining a lot of traction in recent past. The entire concept revolves around usage of electronic devices for monitoring data, which is connected to the public or private cloud, making them to trigger events automatically. Artificial Intelligence (AI) remained the driving force of various industries in 2017. With so many tech giants and startups already delving into the AI ecosystem, it is expected to grow with better use cases in the year 2018. Considering the acceptance, development, and applications of AI, here we are with significant opportunities and perils that this ingenious technology will put forth in 2018. 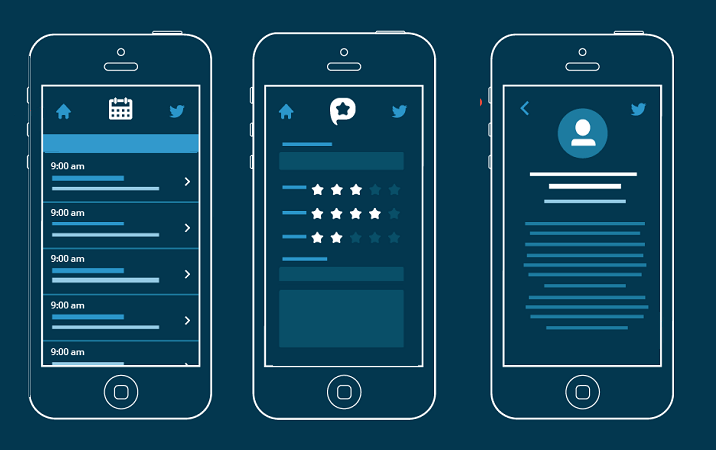 A Search Box is one of the most powerful, yet an underestimated element of a mobile app. While it’s a simple textbox with an input field and submit button, it needs to be presented well to its users, for the fact that it’s used very often (especially in apps that are content-heavy). Bots have become an imperative part of businesses. From rendering anytime support to augmenting human productivity, chatbots are giving businesses some sure reasons to have them as a part of customer service management. Ever since machines started learning and reasoning without human intervention, a lot has been said about the possibilities and perils that Artificial Intelligence brings in. A number of opinions, predictions, and thoughts! But whose prevision is more closest to the future? Well, let the time, use cases, and evolution of the technology decide that and by then, let’s take a look at what our powerful minds thinks about this prodigious technology. Code re-usability, rapid time-to-market for multiple platforms, native UI, API access, and performance. With so many benefits in line, cross platform app development is certainly a profitable solution for businesses. Rigorous up-front design, thorough testing for usability, quality analysis on hundreds of devices, a full beta cycle, and then a final deployment to the app stores after months. How would it feel to have your app being dumped by users after download? Harrowing, isn’t? Blockchain technology is making the headlines, almost everywhere. It is likely to have a mention about it, irrespective of the industry. However, setting aside the massive scope of opportunities that Blockchain brings in, its prominent use cases are still concealed under Bitcoin. 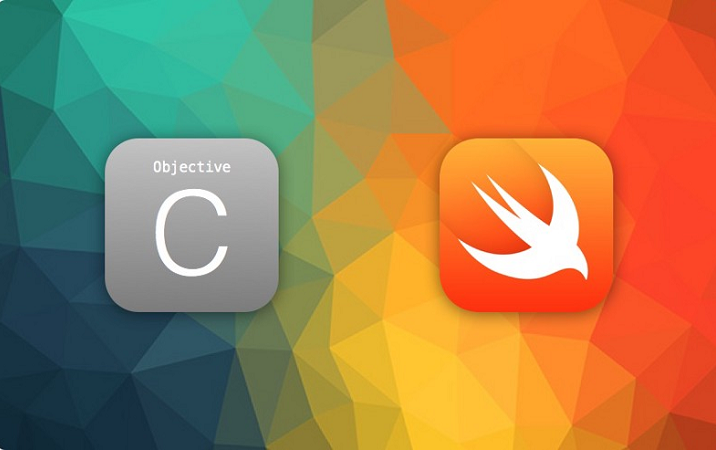 Just pose a question about building an Android or iOS app, and you will certainly find people referring to Objective-C, Swift, and Java as the only native languages for development. Possibly, they are oblivious about the new ecosystem of platforms and the potential that they bring in for mobile app development. App download number is a delusive metric, as it does not reflect whether the application’s objective or key value proposition is being met or not. To figure out whether your app is achieving what it was built for (more revenue, user engagement or brand building), you need to go beyond counting app store downloads. The following post describes 15 metrics that matter the most for any sort of mobile application, why they are important and how to track them. Games, sports, eCommerce, social media, retail, healthcare! There is hardly an industry that has not experienced the magic of Augmented Reality (AR). And today, this technology is upgrading our real world by overlaying pieces of virtuality on it. 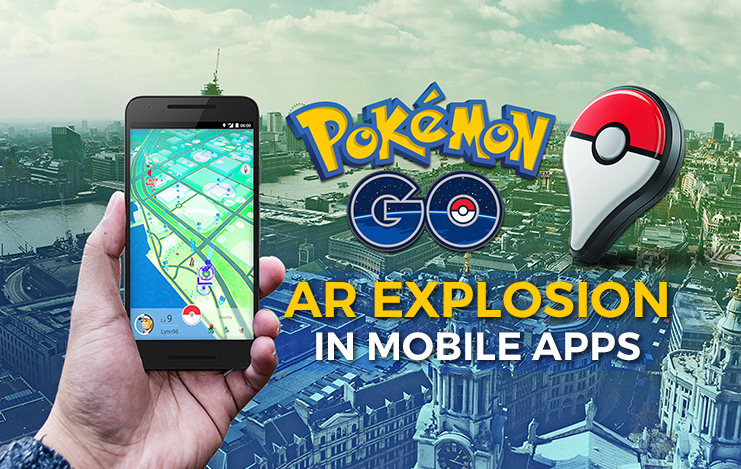 For enabling developers to make the most of AR and integrate it into web and mobile apps, there are some amazing SDKs available. Here, we share a few of them (Free and Paid). No matter how great an idea is, it is nothing more than a hallucination, if not executed well. And that is why, choosing a right partner for giving life to your idea is extremely important. Back in 2008, when app stores were launched to the world, who knew that a decade later, they would be an indispensable part of daily lives. From food ordering to shopping, teaching to learning, entertainment to management, there is an app for everything, for everyone. Millennials, Gen X, and even the baby boomers are dependent upon the smartphones for their daily tasks. And as the number of mobile users rise, reaching them through apps have become one of the most followed trend amongst businesses. Over 400 million smartphones, 4 million apps for download, 80 billion annual app store revenue! These numbers certainly project that year 2017 took over the the ownership of the mobile world. And if the future prognosis are to be believed, these numbers are bound to rise dramatically. From startups to Fortune 500, every company has a mind to risk management for dealing with those out of the blue scenarios. In an app development project, it’s the Minimum Viable Product (MVP) that helps the businesses to evaluate and forecast the risk, so that a deliverable is rendered, which is accepted by the targeted persona. In the IT ecosystem, there is more pressure than ever to be agile, without compromising with the security and reliability. For a consistent product development cycle, people, processes, and tools need to be streamlined effectively. This is where DevOps come into picture, addressing to the stumbling blocks of continuous integration, testing, and deployment in the software development cycle. Can you imagine a mobile app automating and controlling a number of tasks for the users, without being explicitly programmed for it. Well, that might sound fanatic, but it’s a practicable model today. Thanks to Machine Learning! Machine Learning (ML) is subset of Artificial Intelligence (AI) that analyses a set of data, builds an analytical model, and then predicts accordingly. By implementing ML to mobile apps, businesses can ensure better experience to the existing and anticipated users. For web application development of any scale, RoR brings in a slew of opportunities. And this gives clear grounds to the startups as well as fortune 500 companies to place their trust in this amazing technology. Internet has found its relevance in all fronts and is poised to disrupt almost every sector with its benefits. Amongst the various domains that exert the influence of internet is healthcare. With internet, evolved the concept of Internet of Things (IoT), which involves connecting anyone, anything, any service, or any network, via internet. Basically, IoT deals with interaction between machines, devices, or applications for solving or automating tasks, without human intervention. Mobile phones are smart, ubiquitous, and surely an essential. From reacting to shopping whim or analyzing the market stats, they are complementing the everyday tasks, on the go. The latest data shows that mobile digital media in the US is now significantly higher at 51% compared to the desktop (42%). Being a part of the mobile first era, building mobile-friendly websites is a must-have component to make the businesses reach the targeted audience in the most prominent manner. ARCore vs ARKit: How Do These AR SDKs Compare? Pokemon Go, Google Translate, Snapchat, SkyMap. These names have certainly turned the tables for AR technology, bringing it into the mainstream. If sources are to be believed, the AR/VR market will have a worth of 80 billion USD by 2025, with 45 billion USD coming from hardware and 35 billion USD from software. The global investment in Fintech ventures is expected to have a worth of 8 billion USD by 2018. Therefore, this continuously thriving industry needs to follow the best and the latest technology to sustain. In the year 2017, we have seen instant payments, mobile trading, millennial focused solutions making way to take fintech industry a step further. However, the year 2018 seems diverge a bit and step into the technology lane for better customer experience. Basis our client recent client requirements and evolving technologies, we have compiled this list of fintech trends that you must follow in 2018. Ruby on Rails have been into the picture, ever since dynamic apps became the trend on web. Existing and utilized from over a decade, this open-source framework currently has 4,500 people contributing code to it. As the businesses evolve and emphasize upon infallible software development and delivery model, DevOps is taking the front seat in IT departments. While Agile model for development have been turning up the trump for businesses from a long time, it lacked involvement of operations. Today, DevOps is successfully introducing agility in operations, owing to which organizations are able to render better customer experience with improved operational efficiency. Machine Learning (ML) has turned out to be one of the profound applications of Artificial Intelligence (AI). From Virtual Assistants to traffic predictions, ML is refining the way some of the conventional tasks are performed. With ML holding its strength in pattern recognition and cognitive learning, it has found its significance in intelligent application development. In the galaxy of programming languages for web application development, Ruby has surely made a majestic entry. And to complement its caliber to build powerful web apps, Ruby on Rails (RoR), a framework based on Ruby language was introduced back in 2004. From brick-and-mortar retailers (like Walmart) to web-only retailing corporations (like Amazon or Rakuten), eCommerce platforms have certainly made shopping a plain sailing experience for customers. And these days, when smartphones are acting as supercomputers in pocket, consumers take the most of this ease to find, learn, or buy whenever they want-or when the whim bangs. In the Q1 of 2017, the Apple App Store hosted 1.75 million active apps. And if sources are to be believed, this number is projected to grow up to 5.06 million by 2020. Also, Apple confirms that this second largest app store had 180 billion app downloads in the Q1. This steep rise in adoption of mobile platforms and smart devices has broaden up ways for physicians, hospitals, and other healthcare associations to deliver real time care and information to the users. For 2018, the mHealth market is forecast to be valued at around 33.59 billion U.S. dollars and it’s expected to reach 58.8 billion USD by 2020. Moreover, the number of telehealth users are expected to reach 7 billion by 2018. These figures unveil the fact that people confide in mobile applications and devices to manage their health and fitness routines. Devops is a paradigm shift in the software development sphere as it focuses on intense collaboration between development and operations team, with customer empathy and infrastructure automation at its core. It is being practiced by a numerous software development companies across the globe to increase productivity, reduce costs, and build products with more customer focused approach. However, For many of the organizations, jumping head first into DevOps have been observed to be daunting. By 2020, 85% of the consumer interactions will be supported without human interaction, predicts Gartner. Today, chatbots are smartly handling the biggest problem of every industry, i.e. providing 100% customer assistance. Healthcare, finance, insurance, e-Commerce, logistics, sports, entertainment, leisure, travel, and almost every other industry is leveraging the pros of chatbot. While a lot of companies are already reaping the benefits of automated convo system, many are still contemplating over its adoption. Despite the fact that our brain has got immense storage and processing power, we prefer storing our data on digital space. In consequence, the digital data is enlarging in size and is estimated to reach 44 trillion GB by 2020. Surely, such big data is impossible for humans to handle and thus Artificial Intelligence (AI) would be needed to track, manage, and probably, process it as well. If you are a technology fan, then you must have noticed some new smartphones, tablets, and many other interesting gadgets coming out every month. More the tech-tools with different sizes and software platforms, more are the software applications built for them. 8 out of 10 Americans are online shoppers, reveals a study. And if we analyze the frequency of shoppers to buy online, it’s quite easy to predict that web stores and mobile apps are the most preferred mode to shop for favorites and essentials. DevOps is a culture, a philosophy that is being practiced by many companies across the globe to increase productivity, reduce costs, and boost the overall revenue. It challenges the long withstanding beliefs, processes and assumptions and asks for a more collaborative and accountable way for software development. The evolution of React Native technology is quite fascinating. What started of as Facebook’s internal Hackathon project in 2013 is now one of the trending frameworks for Android and iOS app development. In March 2015, Facebook, in its F8 conference announced availability of React Native on Github. And now, developers are making the most of modern web techniques on mobile. With evolving technology and awareness about healthcare, mHealth apps have become a necessity than an option. If a research done by statista is to be believed, the number of downloads in health care, medical, and fitness apps have seen a steep rise from 1.7 billion to 3.2 billion. This clearly forecasts the fact that mHealth apps are being accepted, used, and trusted by users worldwide. So, you have launched an app in the market that’s build on a tested concept, could let you gain a massive user base, generate millions in revenue, and turn out to be a brand that users can trust. However, after few months of the launch, everything seems to fall aside. Diminishing app installs, low retention rate and slowdown in aap's acceptance are concerning you. You turned up the trumps initially, but your app is a dead duck now. Google Home, Thermostat, FitBit, Smartlock, Coffee Pot! All of these examples might seem different, but what puts them all into a single category is the Internet of Things (IoT). These everyday things and devices are connected to internet, are identified by other devices, and add up some kind of info to a database. The difference between apps that make millions and the ones that never see a dime lies in the fact that how well their developers and marketers understand their customers. With a million apps in the app stores, the need to understand user’s pressing points has never been so important than now. Tap, drag, flick, spread! While many of us might not know these in-app gestures by name, though we use them daily while interacting with our mobile apps. And considering that gestures have become an important UI feature, they too are evolving! Let’s take example of iPhone 3D Touch and one of its applications called peek-and-pop. This feature allow users to sneak into the content when a light force touch is applied and making the touch a little harder will open it. Success in business today requires real-time, mobile access to business opportunities. In the mobile first era, businesses having presence on mobile could improve the brand value, as their services/solutions reach the audience faster. While mobile compatible websites were and are the heart of search engines, mobile apps are certainly opening ways for convenient service access. iPad App Development: Why India is the Wagon Master? By 2018, the number of iPad users in the US is forecasted to reach 80.9 billion, suggests a study. Such high numbers vividly justify the increased call for iPad app development in the recent past. The Apple App Store has over 1 million native apps for tablet devices. This certainly evince the fact that businesses are leaving no stone unturned to reach the potential customers and users via mobile devices (alongside smartphone and wearables). Nothing we do is more important than hiring and developing people. At the end of the day, we bet on people, not on strategies. And that said so, choosing the right people for outsourcing IT services surely holds the crux of any business project. With thousands of companies, freelancers, and agencies mushrooming in every corner, outsourcing has become a hyper-competitive industry. While freelancers have a cost-effective development model and certain technology expertise to offer; companies welcome large scale projects, have diverse skillset, and are open to innovation. User experience (UX) has always been the element of precedence in a mobile app. A lot of efforts are put in to refine usability of an app and all of it starts with the login screen design. Designing login screen for a mobile app is a constructive step. 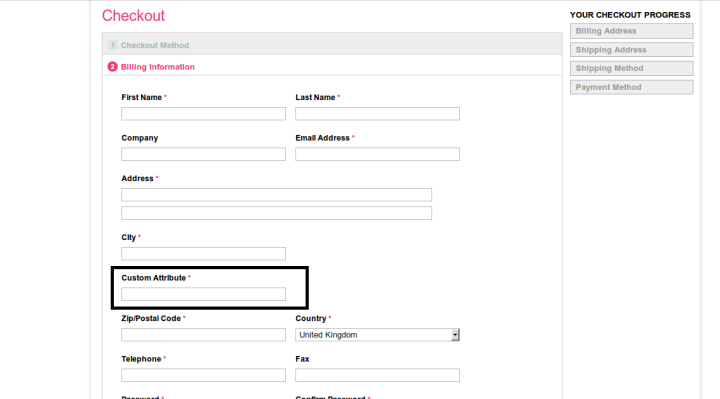 At the bare minimum, it includes option for account creation (Sign Up) and login (Sign In). Further, you can add more elements to the screen like social login, forgot password, view password etc. that perk up the UX. Here are some of the finest login screen examples to refer and the best practices that can be adopted to offer an easy app entry to the users. If your app is the fire, social media is gasoline. Considering the popularity of social platforms and their tendency to viralize the potential content, it is definitely the right strategy to promote your apps on these networks. Here we are with most pertinent social media platforms and mobile app marketing tactics (free and paid) that can shoot up your apps’ downloads amongst targeted users. A goal without a plan is just a wish. Hence, in your endeavours to transform your app idea into the next big thing, it is prerogative to step ahead with a plan of action. In a galaxy of million of apps, how would you make your app shine? Definitely, doing the things right is the key, i.e. carrying out the research, following the right methodology, creating an engaging design, and what not. However, that’s not the real essence of a mobile app development cycle. Splash screen, or very often called as the launch or boot screen is the first screen that is displayed when an application loads. 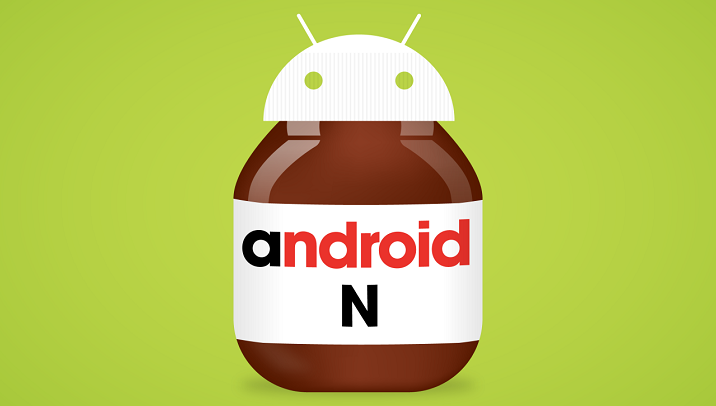 Normally, it comprises of the app logo, sometimes the company name, or very rarely their motto. While splash screens do not offer any practical advantage, they are considered as a source for brand strengthening and start out the app loading process. “Of those who search, nearly 4 in 10 search only on smartphone in an average day.” suggests a study by Google. As mobile usage increases, companies focus their attention towards making their websites mobile-friendly, ascertaining that an optimal user experience is rendered. Moreover, developers are driven to adopt the latest and most efficient technologies to make mobile web a useful space for users. Any company that’s into the business of mobile app development is familiar with the constant struggle between speed and quality. Unlike web development, the app development cycles are quite longer. Opportunely, there are a set of resources, which, when utilized smartly can speed up the app development timeline. So, if you are entrepreneur, wanting to escape the long development cycles, these are the hacks to that will surely work out. Thanks to the evolving modes of connectivity, virtually delivering patient-centric care has been made possible. There are virtual health kiosks and portals, EHRs, remote consultations etc. that are bridging the gap between the patients and physicians in the most prominent way. 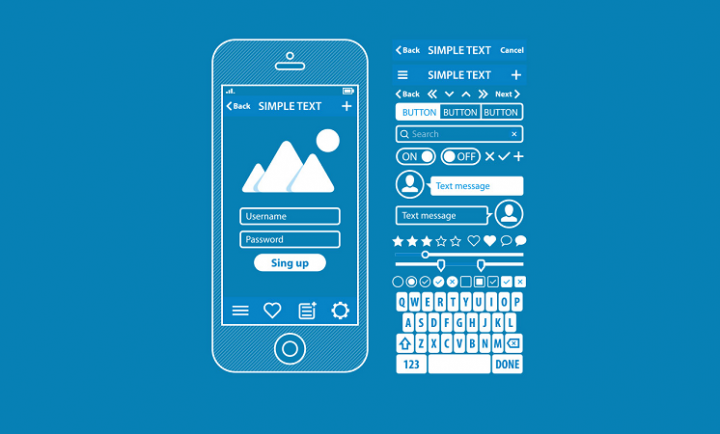 Using an app prototyping tool is a common practice amongst UI and UX designers. It lets them take a test-drive of the app design, before the development cycle begins. More than that, it eliminates the designing roadblocks like last-minute tweaks, delayed approvals, and slower feedback cycles. Prototyping a mobile app enable the designers to share real-time wireframe of the screen-designs, ensuring that experimentation, feedback, testing, and approvals can happen on time. “Pokemon Go is a free-to-play game. It became the fastest game to make over $500 million in revenue. It was the first app to gross highest revenue in its first month ($206.5million).” The matter of fact is, even if your app is free, it can generate an exceptional revenue. Mobile app development is more than just tools, techniques, and teamwork. A number of resources implicitly contribute to the entire development cycle, making its deployment possible on time. Sharing ideas, prioritizing tasks, managing time are to name a few. While their importance is never being ignored, a disbalance in them can lead to delay in project delivery. Considering this, it is essential to look out for ways to minimize resource burnout at the time of development. Here, we share a few of them. Buy or Build, this has always been a big question for businesses. Software applications that handle business operations typically fall under two categories: Custom application development and Off-the-Shelf products. A custom software is tailored according to definite needs of a business or a group of industry. On the other hand, an off-the-shelf products are pre-developed, ready-to-use applications, often meant for a specific industry. There are a number of packaged software available that claim to cater to all business needs and appeal to a broader user base, however, in the long run, many of these tend to disappoint. Fintech has emerged as one of the hottest tech industry in the recent decade. It is a portmanteau of financial services with modern technology. Indubitably, it has disrupted the traditional financial services to their core. Such is the impact of fintech sector that small startups tend to give a cut-throat competition to established banks and financial institutes. User experience is always given high prominence in a mobile app. It does the job of informing and engaging users, which eventually help out to retain them. For this, a lot of practices are adopted, amongst which Deep Linking is the one. In the initial phase of mobile app development, a lot of time and effort is spent to acquire users. The next phase involves holding-on to those hard-earned users, which indeed is a tough job to do. According to a research, an app loses 77% of its active users within first-three days of its installation, if they find it hard to comprehend its usability. Artificial Intelligence (AI) is everywhere. Possibility is that you are using it in one way or the other and you don't even know about it. One of the popular applications of AI is Machine Learning (ML), in which computers, software, and devices perform via cognition (very similar to human brain). Herein, we share few examples of machine learning that we use everyday and perhaps have no idea that they are driven by ML. ReactJS Vs VueJS? Which one to choose for your web app development? Almost all software product engineering companies struggle in the quest of choosing the best technology stack for developing their product. After all, it is the technology that can turn greatest of the ideas into a mediocre product. Hence, it is of utmost importance to ponder upon all the available technology options and choose the best. The problem becomes more pertinent while choosing the most apt technology between ReactJS and VueJS. Though, both technologies seem alike at the first glance, however, differences emerge as we dive deep into the core. To me, nothing seems more fascinating than the fact that machine, a manifestation of human knowledge, could be developed to such an extent that it is able to be on par with human. Be it self-driving vehicles, the infamous Chess match or Google's Alpha Go, technology is giving end-to-end competition to humans. With rapid advancement of technology and automation, there is rarely a field left untouched by the machines. One such field is the healthcare industry. When an app is launched, it reaches the mass at different geo-locations, on variety of devices, and for diverse purposes. Therefore, it’s quite obvious to receive a fluctuating response. Some users will like the design, some will love the experience, while some would expect improvements. It’s surely a hard task to understand the variety of users, their interests, and app’s behaviour on different devices. Now you might wonder how to understand the behaviour of your users while they are using your mobile app. Technology is smartly revamping the model of healthcare industry. 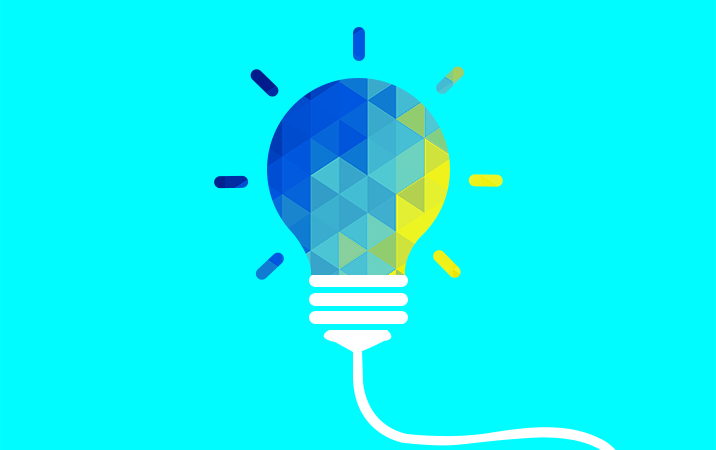 Thoughtful ideas are introduced to develop mobile apps, wearables, and other health monitoring devices. This has eventually brought an impressive change in how people maintain fitness, stay informed about their wellness, diagnose health issues, and connect with medical resources at distance. Apple hosted its Worldwide Developer Conference (WWDC) 2017. CEO, Tim Cook along with his key executives took the stage and announced their new addons to MacBook, Apple TV, and iPhone. While the highlights from keynote session unfolded Apple’s roadmap for the year, what managed to hold the interest was the launch of iOS 11. Healthcare is one of the world’s largest industries. 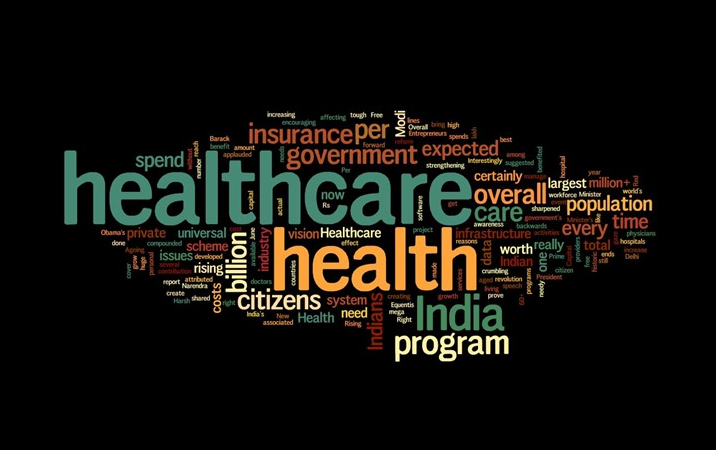 Collectively, the size of the healthcare market is estimated to be between five trillion to six trillion dollars. As one of the examples for how large the healthcare industry is at global level, consider this: All spending on products and services concerning the heart (pharmaceuticals such as beta-blockers, cardiovascular surgery procedures etc) is greater than the entire automotive industry. Therefore, there is nothing to be surprised with the fact that both entrepreneurs and investors have traditionally looked at healthcare as a lucrative industry to invest in. Test Driven Development Or Behaviour Driven Development: Which One is Better? Feedback is an element of utter importance in the entire software development life cycle. It exhibits the progress rate of a project and ascertain developers that they are moving in the right direction to deliver what is expected by the stakeholders. In a conventional approach for software development, testing is usually followed by code designing. While this model has got assured advantages, it has got some stumbling blocks as well. For example: Delay in project delivery due to error fixing and changes in application functionality at later stage. When you ask someone to review a mobile app, they will certainly start the feedback with its design and user experience. UI, features accessibility, and engagement are the prime factors that connects the users with an app. As an old saying goes, “People Don't Want to Work or Think More Than They Have To”. Hence, the app should have a human connect that attracts and engages user with the least amount of effort possible on their end. There should be natural and flawless course when it comes to navigation between various elements in your application. Here is how you can merge human psychology with UI/UX design and sprinkle a sense of occult in your app design. From personal assistance to self-driving, Artificial Intelligence (AI) is already proving its potential to replace humans with machines. If a Google's prediction is to be believed, robots will be exhibiting human intelligence by 2029. Gartner, an IT research firm predicts that 3 out of 10 jobs will be replaced by software, robots, or smart machines by 2025. However, before you become panic-stricken, it is important to understand that AI actually aims to replace human brainpower for more strategic tasks, which may consequently augment jobs instead of replacing them. Mobile apps are a dominating division of the digitized world. From entertainment to IT, businesses are perceiving their importance and making them a part of their success endeavours. However, the intent behind having a mobile app for business may vary and range from service usage to revenue generation, or simply getting user engagement. Why Agile is the Most Preferred Methodology for Mobile App Development? You’re a sailing ship, propelling from Colombia to Panama. The suns and stars, the winds and currents dictate your position. There is a trained crew that can handle unexpected events throughout the voyage. The flow of journey can’t be predicted at its outset but you can dynamically respond to the situations. You move with a strategy, a tactical ideology, no operational plan but still there is high success rate. That’s how Agile methodology for mobile app development works. 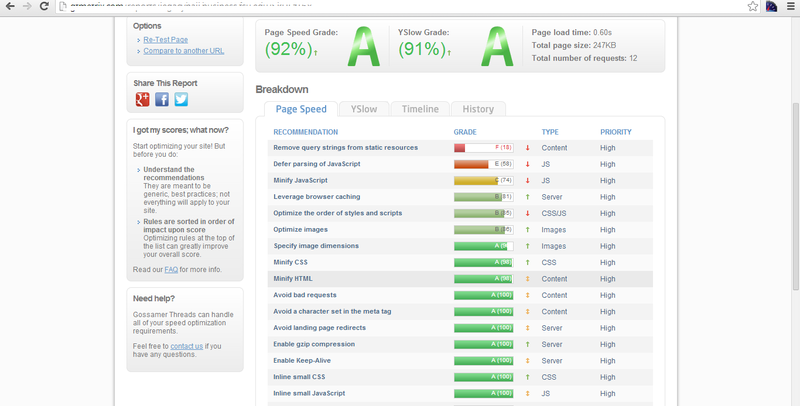 .NET has made building dynamic websites a breeze. A mastery over the controls and understanding of the environment of this open source framework helps developers build scalable applications using fewer codes. ASP.NET is exclusively server-side and is language-independent by allowing the developers to choose from one out of many languages that target ASP.NET framework. So now you have deployed your application with ASP.NET and checked all the boxes before doing so. In the dawn of a technological era, mobile apps for medical and health care is no out-of-the-blue concept. From physicians to patients to clinics, these apps are embraced for diagnosis, monitoring, treatment, and delivery of care. Considering the upsurge of smartphones and consumer interest in improving their health, there is a consequential opportunity to present mHealth solutions in more innovative ways. While development has got huge dependency upon the technologies available, half the job is done when framing the medical app development idea. How to Convince Your Customers to Migrate to ReactJS? To quote Eben Pagan, an entrepreneur and business thought leader, “You can’t convince anyone of anything. You can only give them the right information, so that they convince themselves”. You may not know who Eben Pagan is, but you would definitely agree that he makes a valid point through that quote. When you consider ReactJS and its increasing popularity among the developers, you would accept that it is because of the remarkable features of this technology. Naturally, you would want your customers to take advantage of this technology. Let’s imagine that one fine day you wake up as Captain America. An interesting proposition, isn’t it? In all probability, you would be excited to protect the world from the baddies. But what happens if you discover that you don’t have Captain America’s cool shield that acts as his primary offensive and defensive weapon? Chances are that you would feel all at sea even while being a superhero. This just goes on to prove that having the nametag of a superhero and the intention to do good is not enough, you also need the right equipment to attain your objective. The constant need to improve user-experience is keeping developers on their toes and making them adapt to new technologies and trends that will deliver better results. One such technology that is attracting everyone’s attention due to its impressive features is the React JS. Its popularity can be gauged by the fact that even major apps like Facebook, WhatsApp, Netflix, and Instagram are making use of the React JS. So what makes React JS a preferred technology to develop kickass web and mobile apps? We list down 8 top reasons in support of it. It is no rocket science that anything that Facebook does with its products makes a difference to everyone, especially marketers and developers. Now it doesn’t matter whether it is introducing a new product, acquiring one, or modifying something from its current portfolio of products. And the perfect place to get the scoop of what the social media giant has been up to and what is in the pipeline is Facebook’s annual F8 developer conference. The adoption of mobile technology has grown exponentially in every aspect of our life. Just to put this in perspective, the number of mobile phones sold globally every day is much more than the number of babies born in a day. If a recent Millward Brown study is to be believed, people spend an average of 147 minutes a day on their smartphone and 91% of adults have their mobile device within their arm's reach 24*7. Recently observed trends give us some hints that the leading names in the world of web as well as mobile technologies have started to push web a step up as they have unlocked it’s true potential. Perhaps, the mighty titans like Google, Apple and Microsoft have realized the amount of hitches the app developers suffer from and hits the business takes to keep up with mobile apps, has reached an alarming figure. So they are on to developing solutions for the future, and once again they are riding on web. 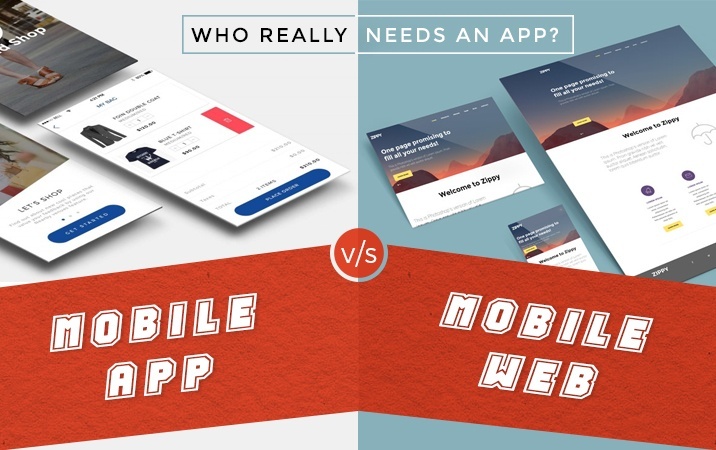 Mobile apps vs Mobile web: Who really needs an app? Did your ever so curious mind ever came across the question “why build mobile apps when mobiles have a web browser”. What exactly a mobile app can do that a mobile friendly, that is, responsive website or web app cannot? Let’s look at the apps you have installed on your smartphone. Sure, there must be WhatsApp, Facebook, Twitter, Google+, may be Instagram and Snapchat too. Don’t you shop online? How Outsourcing App Development is Changing the IT Space? Interestingly today, I was going through the myriad of mobile apps on my phone, doing the nitpicking and checking out the ones that needed the axe. I have my usual set of apps, ones for shopping, travel, gaming, payment and suchlike.This is a task I do to make sure I have just the right amount of apps in my phone. But today I was held aback by the ballooning dependency I have developed on apps. How mobile apps are transforming healthcare industry? 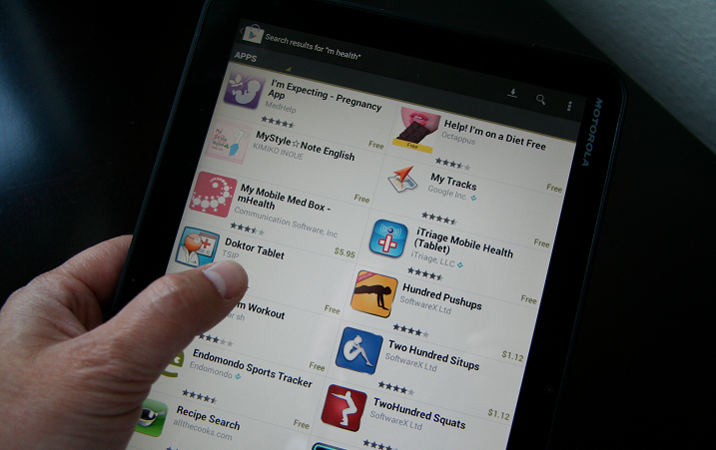 In the past few years there has been an explosion in mobile apps for healthcare. Over the next four years the market is expected to reach over $220 billion mostly in mobile health. There are a number of reasons why this is happening. Do you know the only one thing which can impress your E-shop visitor? 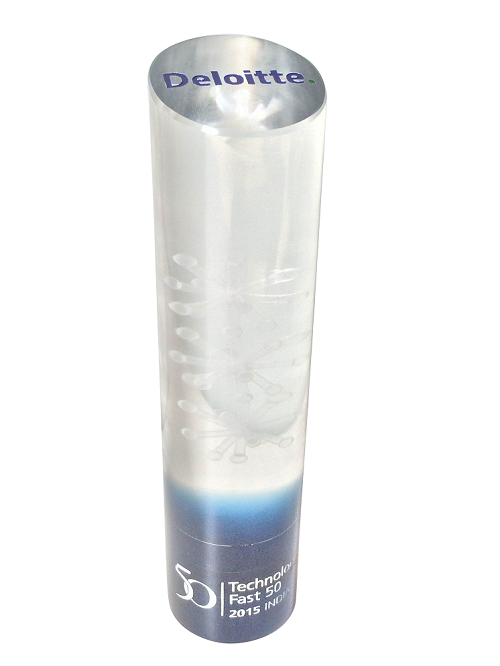 It is the product images! Nothing can demonstrate your online store than a clear and rich product image. This is very important to engage a visitor and make him transact. Visual appeal is always appreciated. Research says that the chances of a person to buy increases when he/she gets a visual look of the product. Technology does not only provide new ways of doing actions but also creates great influence on people. The biggest impact of technology is the change it can create in people’s perception. The digital revolution is changing the conceptual understanding of humans regarding the possibilities available to them in their lives. It has certainly changed the productivity, speed and work progression but it has far more reaching effects. What Customers are Looking in Ecommerce Website? For running a successful eCommerce business, it is essential to build a robust eCommerce website. A great customer experience will ensure that the customer lands on that payment gateway ready to spend hard earned dollars. Let us look at some points that will lay a strong foundation for your Ecommerce website and ensure that you have all your bases covered to convert a visitor into a repeat customer. Starting a venture, pushing your product in the market or even selling corn dogs on stand requires efficient and quick work. 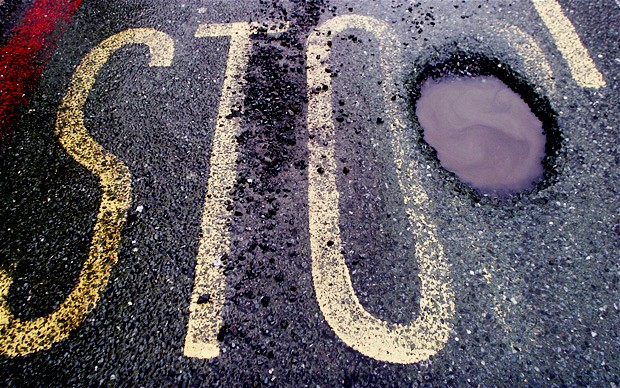 Decisions should be made in a snap and any manner of redundancy would take you downhill very quickly. Daffodil has worked with enough startups to know that it is quintessential to make sure your offering stays valuable in terms of innovation, quality and convenience. 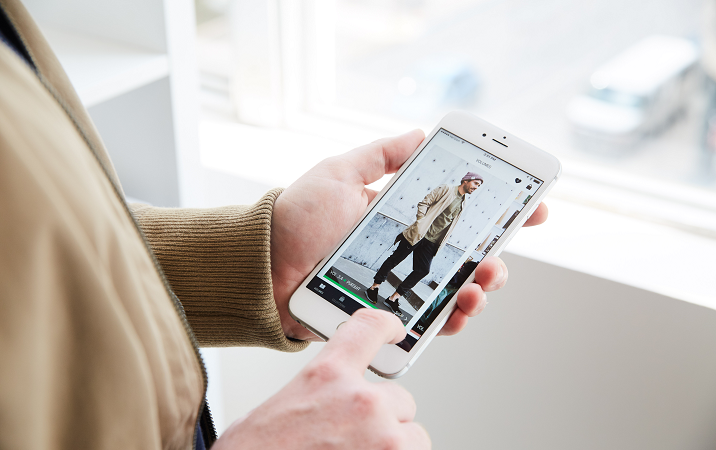 Fashion industry is going through a great phase of digital-centralization. From Ecommerce to social media, digitalization has highly improved the appeal in fashion by setting up visually appealing online stores, integrating payment gateways and offering efficient delivery of logistics. Business owners and entrepreneurs just cannot afford to waste time. Before thinking about the future, take a second to how business was done when technology was the moon we wanted to land on. Smartphones, apps and cloud solutions were not even thought of. How Mobile is Changing Businesses? The next big revolutionary gadget which has revamped the way businesses are done is Mobile. Mobility has become ‘the’ big thing for businesses & has made web mobile seamless. To realize this fact all you need to do is to take a look around at your fellow commuters to see the importance of a smartphone in their daily lives. User interactions have evolved during the last past years and it is really challenging for designers to keep up, making it tempting to use interaction design techniques when we build mobile apps. The manner and patterns in which we interact has changed and thus has changed the design linked with that interacting medium. 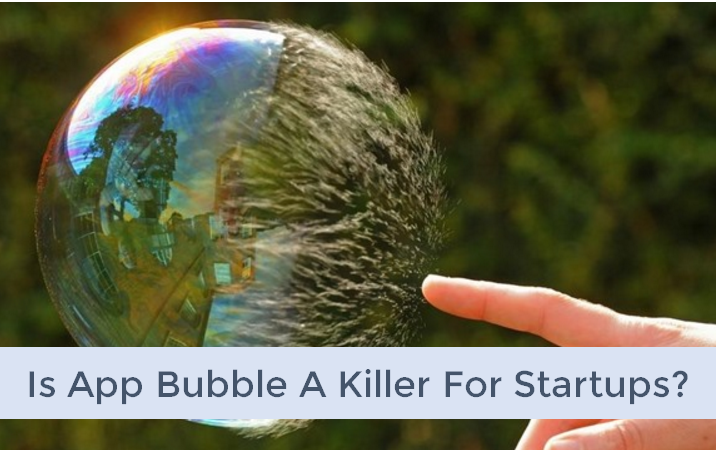 The App Bubble is Bursting - Is your Startup Ready? In this technological era, the phrase “bubble” has become a fancy term put to use by investors, entrepreneurs and business owners alike, still the meaning of this term is murky. “A bubble means that the value of a particular startup, group of startups or market is not correctly justified by the supply and demand conditions existing in market.” Till the time this bubble persist, the value or prices will be different from rest of market. It is an exciting era of small and smart businesses that we live in, and to be successful you need to adapt to the changes and use all the tools at your disposal efficiently. This becomes all the more important when you decide to scale and your system needs to be robust and technologically compact to handle the change. “IT Outsourcing” is the term which is directly linked to provision of technology services which saves time and cost of company which would have been spent on hiring for full time. Explaining it broadly, as the business grows, the departments increase so does requirement of IT- related functions. We do not talk about Augmented Reality much. Till recent times augmented reality has been a fancy technology for the fancy players in mobile app development. Virtual reality was certainly raising some brows but last week we witnessed a cataclysm. 6 Things To Look For While Hiring Magento Developers? To survive global competition in the E-commerce business, it is crucial to go for a strategic development decision which complement as stairways to reach your goal. This is why entrepreneurs prefer efficient and reliable platforms, those that have the ability to meet their expectations. “Viva La Revolucion” the application of this phrase is too readily seen with Che’s uprising Revolution in Cuba. However, recently we have seen certain technology led industry changes that are causing revolutions around the globe, especially on mobile technology. And the industry that has been most pleasantly struck by this technological Viva La Revolucion is the Healthcare industry. 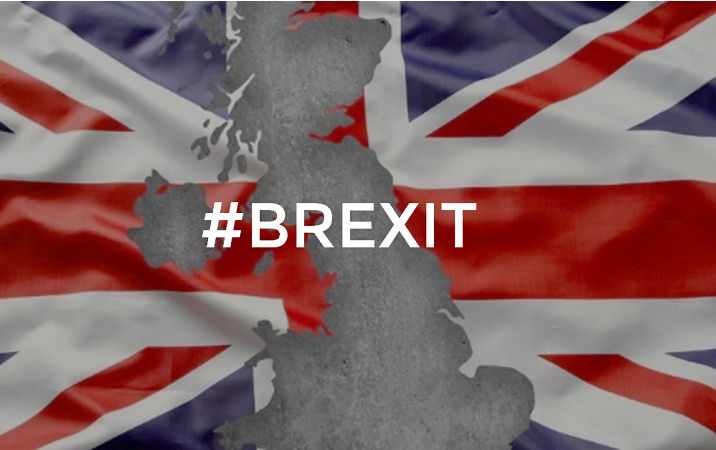 Why is #Brexit Bad for Startups? The internet exploded on the 23rd of June following the news that the UK would leave the European Union, with big players like Google, Microsoft, and IBM got pummeled by a tech stock loss of 4-5%. While the tech sector may not be hit as hard, there are some big reasons that the Brexit will make not just GB, but Europe, a harder place to start or run a successful tech company..
We have many Ecommerce platforms available that are continually evolving, it can be smoke and mirror and very tricky to decide which shopping cart platform best meets all your needs and suits your company. If you are planning to start your own store or perhaps have gone through the idea of building your own online store, you must have gone through this ordeal at some point. Is Technology in Healthcare Poised for Disruption? The global healthcare market has opened its arms for its payers, providers, consumers and investors with a worth of $9.59 Trillion. With the new entrants in the digital era, there is huge disruption seen within the traditional system of healthcare industry (as we referred in our recent blog). The new entrants have introduced pathways for virtual health which is more affordable and convenient for fitness and wellness. These new entrants use technologies that are taking full advantage of innovations seen in this outdated sector. Mobile app development market was already quite warm with intense rivalry between platform specific pure native apps and cross-platform HTML5 web apps or better known as hybrid apps, that is, native Android and iOS apps going against Phonegap and Ionic web apps. 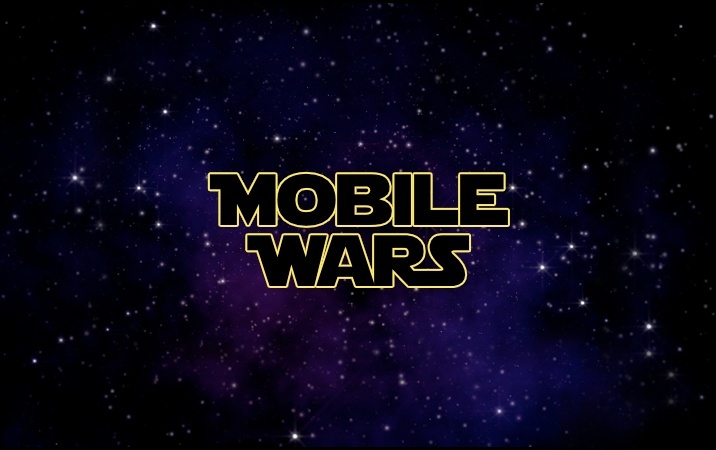 A newer and very noticeable player entered the tournament, not so recently though, with full strength and heavy artillery - React Native by Facebook. The battlefield is further heated up with Telerik bringing Angular 2 NativeScript. Old languages never die they just fade away but development companies who stick with old languages are bound to see an early grave. While Apple hasn’t stated all its goals for the language yet, the launches of Xcode 6, Playgrounds, and Swift together signal Apple’s intent to make app development easier and more approachable than with any other development tool chain. Startup Strategy - Which Open Source CMS to choose? Choosing the right CMS is like choosing the right house to build your home. And when it comes to businesses who have just embarked on their journey to join the new age startup phenomenon, the case of right technology stack becomes more and more eminent. Any businessman who invests funds in app developement would always want the best ROI. Now here comes the question of app development and what aspect of it would help in generating income more. And out of these aspects, UI/UX has turned out to be the most beneficial factor. 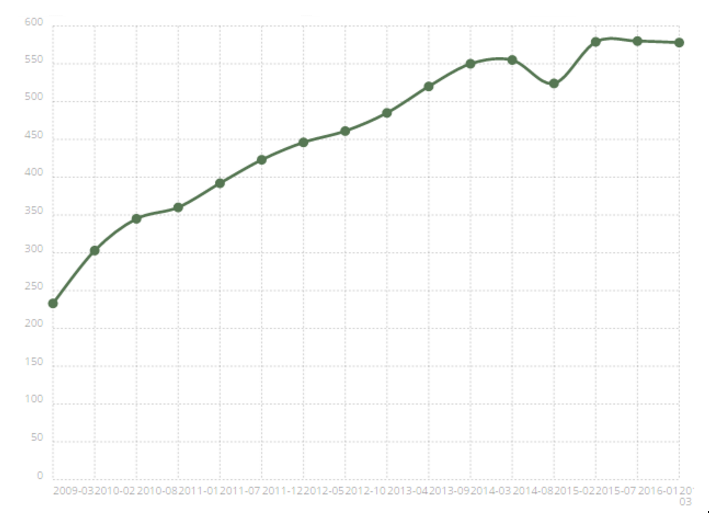 AngularJS can have performance problems when you start to scale your application. You may notice that your AngularJS application works well at first but as it grows in complexity, so does its load time. The problem amplifies when the application is opened on mobile device as that tends to be more slower because of obvious performance difference between desktop browser and mobile browser. Apps fail all the time and so do ideas. It is agonizing if you are the conceiver of the idea or the developer behind the app and it's even worse if you are both. Mobile technology has created a huge opportunity for enterprises to create a paradigm to reduce cost, increase productivity and smoother business transaction. The continuous increase of wireless network and increasing use of mobile devices have generated potential to transform business, boost growth and performance and are increasing generating their demand in almost every business vertical. Till the time you will not experience mobile technology, using mobile apps, you cannot expect the target audience to act as potential customers. Microsoft SharePoint is the most preferred platform of choice for enterprise applications today. It enables business enterprises to customize collaboration and document management solutions to suit their growing business needs. Digital healthcare trends are among the key phenomenon driving the next cycle of transformation in the healthcare industry. Beyond its impact in shaping delivery and payment model innovation in healthcare, it has been the primary catalyst for accelerated innovation cycles in both consumer and enterprise focused health management tools. We have, to this date, about 579,619 websites in the world running on Drupal. When we talk of the top 10k websites, 578 websites are on Drupal and you can see how this growth has been more than 200% from 2009 to 2016. Outsourcing of Software Development – Is India still the best? In today’s business climate of increasing globalization, it's a matter of no surprise that top companies are practicing offshore outsourcing to India as a part of their overall business strategy. Outsourcing software development is here to stay as an IT trend which has evolved, grown, matured and is living up to and outgrowing its potential. 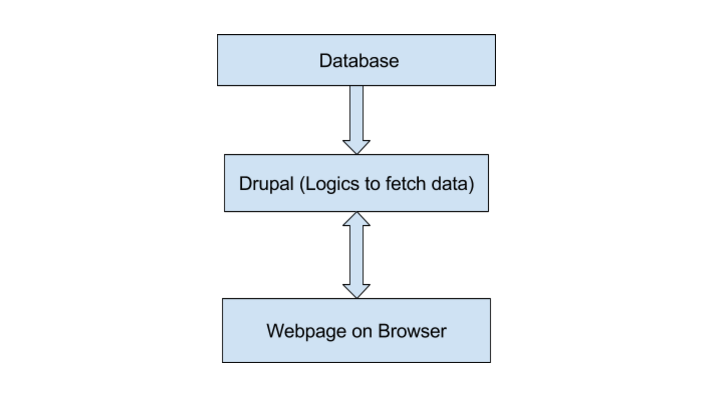 By this article, I would explain a very frequently heard term ‘Headless Drupal’ in Drupal technology, which is widely used in web development now a days. 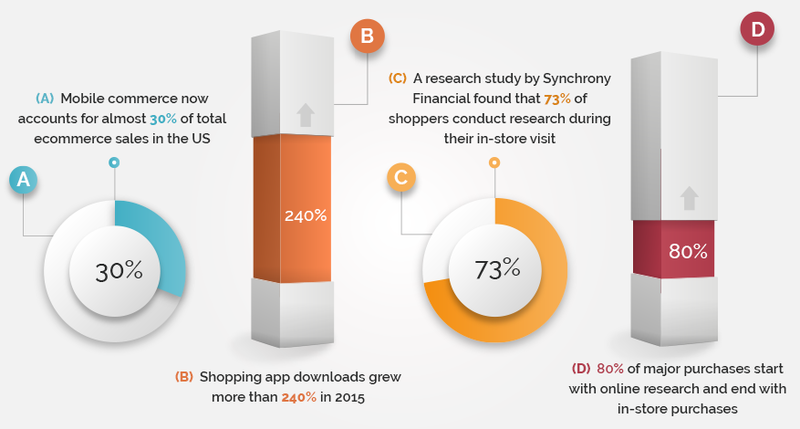 What Can eCommerce Expect in 2016? 2015 has been an impressive year for digital commerce, not least the record levels of online sales recorded over Black Friday and Cyber Monday weekend. However, the consumer never stands still, and eCommerce will need to keep innovating into 2016 in order to grow in value. It’s never easy to create an enduring customer relationship and brand loyalty in the world, choices are endless and competition is tough. eCommerce is turbulently rising industry, scaling the unscalable and capturing the uncapturable. The extent of this is so much that the entrepreneurs who foresaw this uprising are now being considered as one of the greatest minds in the world. Lauds, appreciations and credible hurrahs for those who made the ‘m’ in ‘m-Commerce’ stand out as ‘magic’. The healthcare industry is witnessing unprecedented churn and transformation, leading to a surge in the adoption of IT and business process outsourcing.In healthcare sector, delivering excellent patient care and improvement in the patient’s experience turns into recommendation to others resulting business growth. To reach out to this, proper balance of information technology (IT) is important function. Mobile Application Development in 2016 - What to Expect? A report from Gartner predicts that “market demand for mobile app development services will grow at least five times faster than internal IT organizations’ capacity to deliver them, by the end of 2017.” However, it is also true that competition is on the rise and enterprises expect more sophistication in their mobile apps. So you just can’t create a mobile app on the cheap anymore. As the year 2016 progresses, the mobile developers are seeing a big rise in demand for apps from startups as well as established businesses. The popularity of the mobile apps hinges on the fact that they are leading to a seminal transformation in the traditional practices and are enabling businesses to bring signifiant reduction in cost of operations, make better connections with their clients and have more efficiency and transparency. Today most entrepreneurs have realized that their business can’t do without an efficient mobile app. For improving employee productivity and bringing efficiency to the process of finding new clients and catering to the needs of the existing clients, every business must take full advantage of the mobile app ecosystem. There are ceaseless changes in the world due to mobile apps. With remarkable new applications being produced each day, Health and Hospital apps in particular, represent an area of incredible innovation.Interaction between the doctors and the patients is the most important aspect of healthcare delivery. It is not possible for the doctors to be always close to the patients, but with the help of apps, doctors can have real time updates on the condition of their patients. iOS and Android are the world’s most popular mobile platforms. Relatively fewer numbers of users are using Blackberry and Windows powered devices. Your mobile app must be adaptable on all the major platforms to ensure that it can reach out to all categories of potential customers. After all, the best interests of your business can only be served when you can reach out to maximum number of users through your app. Here is a list of the benefits that you can have by opting for cross platform applications AKA Hybrid apps. 75 long years ago, Assembly language took its baby steps and now in 2016 multitudinous computer languages run the world. From A# to Zeno, no alphabet is spared of a computer language. Every year about 10 new languages are added into the mix. New languages are spawned forth due to rapid changes in technology and the tech that is wreaking havoc in 2016 is mobile and Big Data. 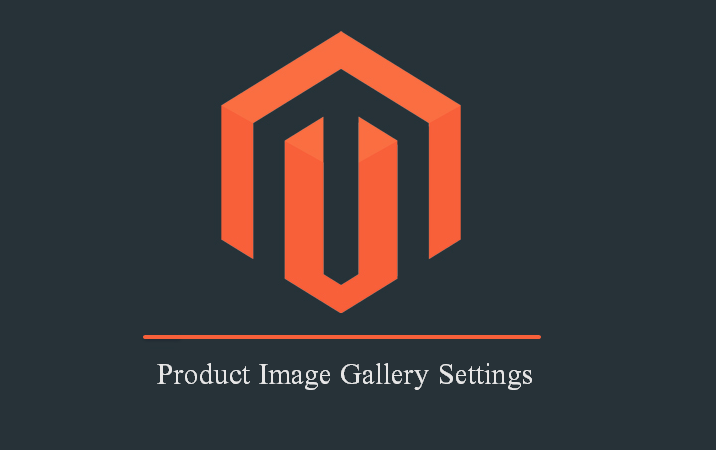 Magento is undoubtedly one of the better web commerce portals available to the world. The key to Magento’s success is through the extreme ease of customizability and management that even tech novices can easily master. Android Marshmallow is powering a wide range of devices and it is having a discernible impact on app development for Android platform. Marshmallow offers several new features for improving the quality of interactions that you have with your customers. But to take full advantage of the new Marshmallow ecosystem, you have to do much more than having a quick flip of the Target & Compile SDK to API 23. There are several new ideas in app development that you can bring to fruition by the optimal usage of Marshmallow features. Why iOS Rules the App Universe! According to report from IDC, 82.8% of the mobile devices are running on Android, while iOS powers 13.9% of the devices. It may seem that Android is far ahead of iOS, but the truth is that the Apple devices, which run on iOS, are favoured by the premium consumers, the ones who have the real paying power. Android vs iOS - which platform to build an app for first? The question of "which platform to build an app for first" has been a popular one for the past five years. Now with the rise of startups the questions has become even more pertinent and paramount. While searching for relevant apps on Google, have you found yourself being surprised by the accurate result that you get! 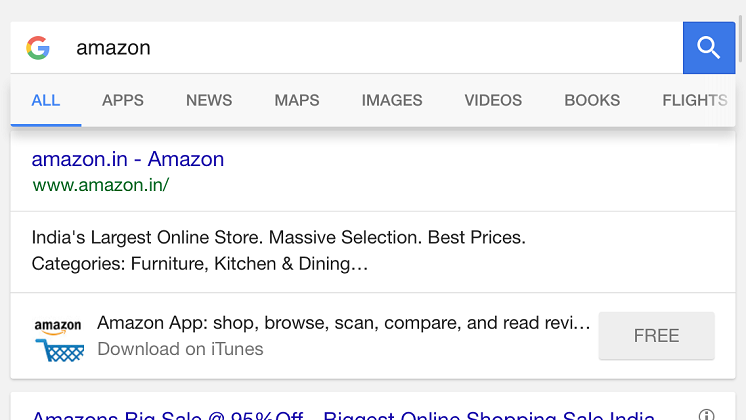 For instance, if you Google “Amazon” on the browser in your mobile phone, you will also get the link by which you can download the Amazon app—you will even have the option to open the app if you already have it. How Can Mobile Apps Retain Customers! Does your business need a mobile app! What are you doing to ensure that your app catches the attention of the potential customers who are already being deluged with all kinds of apps. Even if the customer downloads your app, it is not guaranteed that he will use it regularly. It is a challenge for app makers to inspire customers to use their app and to prevent uninstalls. Every startup aspires to reach the point when the road to success becomes crystal clear and smooth. But just because you have gained clarity about the road that will lead to success, it does not mean that your startup will not face any more challenges. Funding can be a challenge if you are an entrepreneur venturing into a new business. Many entrepreneurs try to pitch their idea to the VCs and Angel investors, but the problem is that for getting the funds you have to give up equity shares—and if you raise too much money, it may result in you no longer being in control of the startup that you conceptualized. We are not saying that behind every brand there is a mobile app, because many of the brands were there first, but it is indeed a fact that today every brand has a mobile app. Global corporations and the small and medium scale enterprises have realized just how important a successful mobile app can be to their business. However, having a successful mobile app in today’s highly competitive environment is not an easy task. Some enterprises are deeply dependent on outsourcing. But there are other enterprises, which thrive by limiting their outsourcing to a minor part of their overall IT operations, and they manage their core activities themselves. Then there are those enterprises, which don’t outsource at all, they achieve cost effectiveness and efficiency by doing everything in-house. Before we begin, let us a take a walk down memory lane. Let us go back to 2008, the month of July. Apple launched its App store with a timid number of 500 apps, majority being gaming apps and music based apps. In the same year, Google launched its marketplace with a modest number of apps as well. When consumers select a device, they also look for the aspect of human-touch in the apps that are part of the device. They would prefer to carry a device, which is packed with apps that will provide important services in an easy and convenient manner. Any app can offer personalized service only when it learns from how the consumer interacts with it. As the consumer keep engaging with the app, the app keeps improving its knowledge of what is important to the consumer and this enables it to give even more personalized service. 2015 was a great year for startups. The most inspiring and disruptive startups made their mark during the course of the year in the areas of food tech, hyperlocal logistics, healthcare and much else. 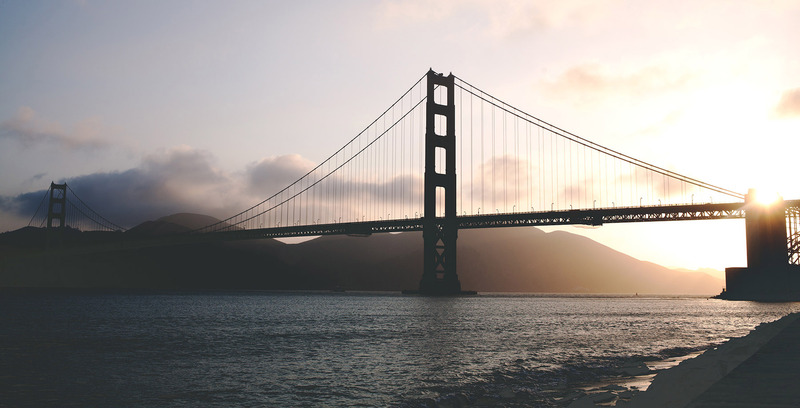 Indications are that 2016 could be even more exciting year for startups. Why? Because the startups that have already been launched will start maturing in 2016, and also because there is news of several new startup themes that investors are excited about. As recently as three or four years ago, most of us could not have guessed that someday we would be using apps to book a cab (Uber), find place to stay (AirBnB), or chat in real time with people in different parts of the world (WhatsApp, Skype, etc.). Mobile App & Responsive Website - Do You Need both? 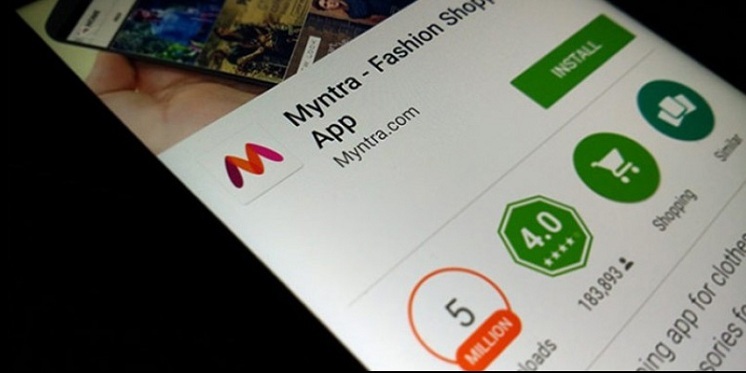 Myntra took the bold decision to sell its wares only through its mobile app in May 2015, but now it is becoming increasingly clear that this app-only strategy has backfired. The company is now gearing up to roll out a mobile website, similar to Flipkart Lite and the recently introduced Snap-Lite (Snapdeal’s light mobile portal). Myntra is not alone is having a re-think over strategy, Flipkart too is backtracking. Does all this really mean that the app only strategy is a mistake? When customers are discerning about the kind of products and services they require, it is important for apps to enter the niche areas where they can offer customized services. 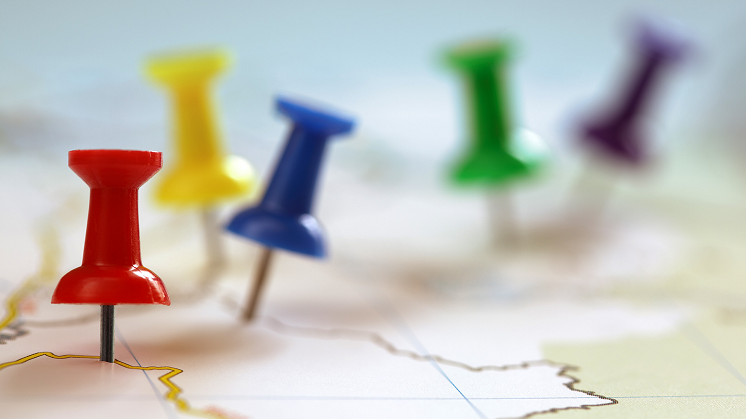 A recent study conducted by Dynatrace proves the point that users tend to look for specific features in their mobile apps: they want proactive and personally relevant information—they want services that are based on their location at any particular point of time. Do you own a 4G handset yet! It seems that many users are warming up to 4G even before the 4G network is rolled out in their areas. A recent report from IDC shows that one out of three smartphones being shipped in India during the third quarter of 2015 are 4G enabled. So if the 4G network is working in a certain area, many users could be enjoying things like augmented reality navigation, “mobile wallets”, 3D simulated board games, and much else. Because of its capacity to provide connectivity of much higher speed, 4G can be a complete game-changer when it comes to real-time gaming and movies. But what about e-commerce! 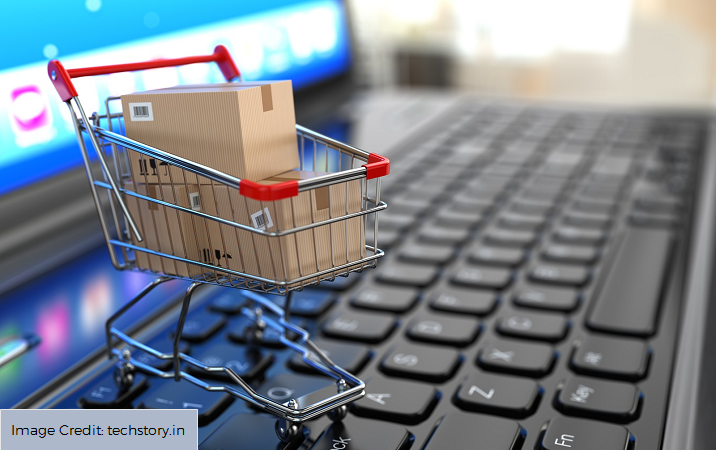 What kind of new innovations can we expect in e-commerce sector with high-speed 4G connectivity now becoming a reality. When you are using an app, it is often easy to be filled with the idea that something that operates out of the small screen of a smartphone must be quite easy to create, but the truth is that every successful app packs an immense amount of cutting edge technology, ingenuity and research. The ubiquity of smartphones, which are packed with all kinds of innovative apps, is leading to social change in the behavior of the consumers. For accessing information and executing all kinds of tasks the consumers are increasingly depending on the app Eco system. Brick and Mortar stores still continue to dominate retail sales, however the path to purchase is now greatly affected by mobile commerce. Shoppers no longer expect an omni-channel experience, they create one themselves. Consumers are now using mobile as a catalyst to drive them into stores where they complete the path to purchase. What’s Next for Mobile Apps! As technology continues to evolve at a scorching place, the developers are not only asking, “What is next for mobile apps?” but also “What is the future of mobile strategy?” When customers are demanding more and more from their mobile apps, the developers have no alternative except to look for tools that will enable them to pack more services in every app that they produce. In a world where almost everyone has a smartphone, the mobile apps pose as a versatile tool for conducting realtime interactions or transactions with the customers. An immense amount of marketing potential lies in the mobile apps, and much of it is yet to be tapped. Your favourite mobile payment app is now all set for a massive upgrade. Check out how you can make it risk free. A recent survey from Accenture shows that while 52% of North Americans are “extremely aware” of mobile payments, only 18% use the facility on a regular basis. It is the millennials and the higher-income households that are on the forefront of using mobile payment systems. The survey shows that 23% millennials and 38% higher-income households use contactless payments at least once a week. More and more people are warming up to the mobile payments systems. According to eMarketer, in 2016 we will see a 210% growth globally in the total value of mobile payment transactions—from $8.71 billion today it is expected to go up to $27.05 billion. With high growth being a distinct possibility, it is time for the companies to device new strategies for facilitating rapid awareness and adoption of their mobile apps. Starbucks, the global coffee giant has an app, which handles payments and stores loyalty information of customers. Basically the app offers customers the convenience of a mobile wallet, which is valid at all Starbucks outlets. 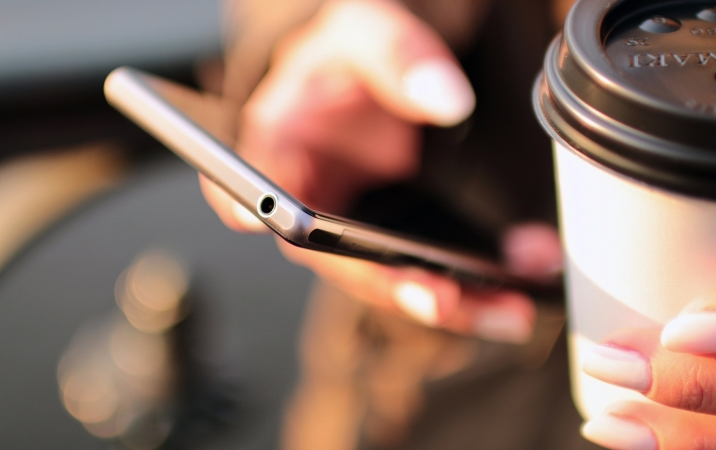 More than 20% of Starbucks’ in-store transactions in USA are conducted via the mobile app. There is massive evolution happening in the mobile payments space. In times to come we can expect app based payment systems that are much more versatile and secure than the solutions that we use today. 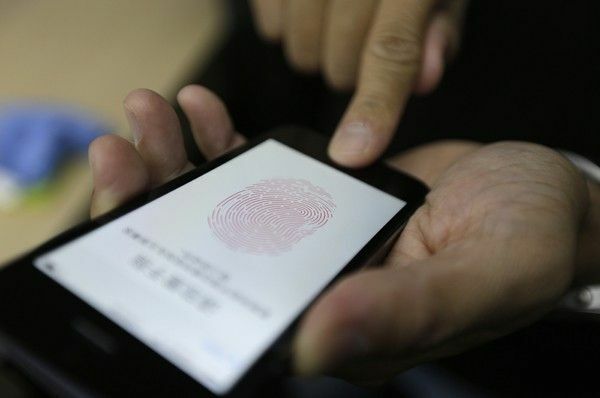 Currently most payment apps use the system of passwords to conduct a transaction, but once biometrics comes into the play, we may have apps that can make use of voice recognition, face recognition and even iris recognition to process ultra-secure transactions. Major payment system companies of the world- Visa, MasterCard, RuPay, and many other players - are working to enhance the scope of their mobile apps. Daffodil Software is among those companies that are taking many innovative steps for the development of more secure and easy to use mobile payment apps. We promise to make your mobile transactions app-solutely risk free. Food on the plate... a set of wheels... a comfortable bed... There is hardly anything that you can’t buy by using a mobile app. There is a vast improvement in the range and scope of transactions that can be conducted through mobile apps. Daffodil Software has been named as one of the winners in Deloitte Technology Fast50 India 2015. Rankings in this programme are based on percentage revenue growth over three years and Daffodil Software grew by 100% percent during this period. The Deloitte Technology Fast50 India 2015 was organised in Bangalore on October 30, 2015. You may be a small firm spending hours of resources into mobile app development or you could be a lonely coder working late nights inside you hostel room bashing your brains to build that wonder app. At the end of the day what everyone wants is people downloading your app. Besides creating your one magical app, the whole process of getting your app noticed is a mountain to climb. Hello everyone, before I begin I must say that with the rise of popularity of noSQL, so has risen my curiosity with this technology. This is primarily because of modern mobile apps and unstructured data such as text rich content and multimedia. 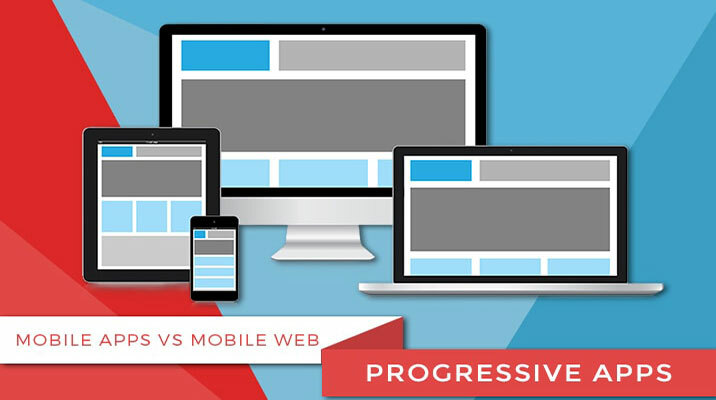 With the dawn of mobile technology, everyone is looking at two options - Responsive Website & Mobile Apps. Here is where the fighting bells rings, at one corner we have inexpensive quick to build responsive website and on the other side we have expensive time consuming mobile app development. So do you have the next Flappy Bird in mind? Or perhaps the next Whatsapp? It is that time of the year again when Indians set out to do that one thing they love, and that is festive shopping! But instead of sprawling in the streets and haggling with dozens of shopkeepers, we now prefer leisure over movement. To feed this desire online commerce comes as a boon, shops like Flipkart, Snapdeal, Amazon are every shopper’s paradise. Harkening back to what I said earlier, even online commerce celebrates the festive season. With the dawn of every night, as you safely tug yourself to sleep, thousands of other men in every nook and cranny of the world are awake, busy and rapidly wracking their brains to unveil a whole new dais of mobile experience. And when you wake up the next morning, the world, as you knew it, has changed. Little by little, bit by bit, every morning there is something new in mobile technology that you have absolutely no clue about. Magento is such a magical portal. The many things a developer can work with using Magento is simply inspiring. 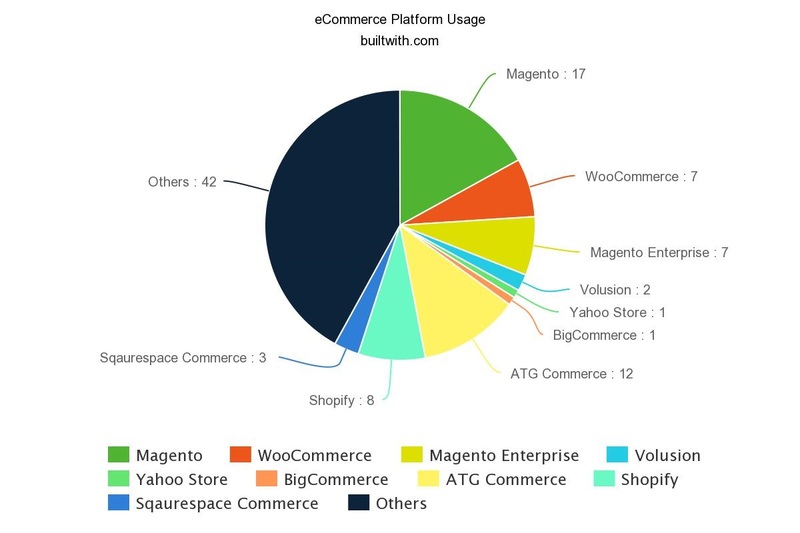 There are hardly any two thoughts raised when someones says that Magento is the most trusted eCommerce portal in the world. Even Alexa puts about 10,000 Magento sites in the world’s top 1 million sites. CRUD is backbone of every platform applications either Desktop, Web or Mobile apps. Basic concept of CRUD is similar in all databases RDBMS and NOSQL . Operations like Select, Insert, Update and Delete have there different performance levels on system; where Insert is on Top and Delete is on Bottom. The wonderful world of startups is full of excitement and hard work. Sheer business ideas simply do not cut the cake, you need a sharp edge of technology to deliver your best value. Every business is on web in today's world. This fact alone makes it increasingly important to make sure a company's website is updated and performing. Any lapse in website performance can lead to loss to precious customers and tons of bad customer reviews. 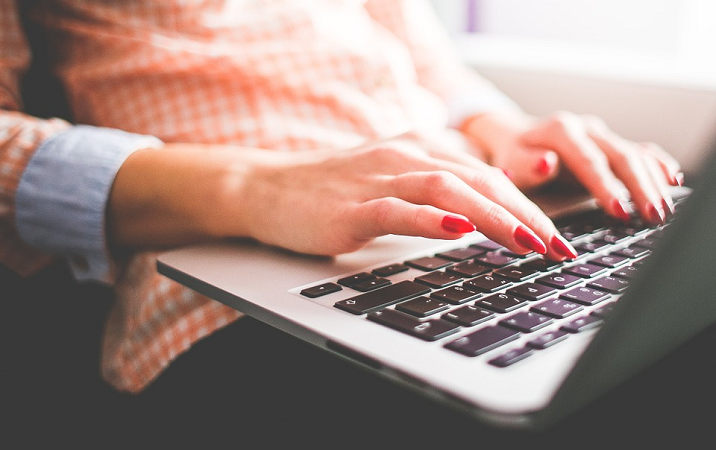 Here a 5 simple yet proven tips to enhance your website performance by 40%. My previous post talked about the challenges a startup faces when put against the onus of handling technology on its own. I mentioned how in-house talent can be the god given remedy but what if you are devoid of that option? Internal VS External: Is your Startup Choosing the Right Technological Aid? Building a startup is like playing with building blocks. You can build whatever you want without a hint of hesitation and concern. All that is needed is an idea, an idea to join the blocks towards a massive structured edifice. One wrong block at the wrong place and the whole structure crumbles to pieces. In all the problems that we have come across, there have been some which were persistent and perplexing yet still the solution lied just under our nose. A similar problem that we faced recently is for certain a very common issue a lot of IE9 users come across. Whether your business is big, small or even just starting up, mobile is the way to go. Companies from across the planet are becoming part of a global revolution of Mobile App development. If we talk in numbers then here are some statistics that will certainly make you ponder – Google & Apple both announced in June 2014 that they have a million apps in their respective stores. By the same month this year, the numbers had become 1.5 million. One of the most beautiful parts of Magento lies in its usage. From the admin control you can basically oversee and spearhead any feature you wish to utilize. Though proper implementation and feasibility may seem difficult or impossible at times but even these intricate features can be utilized very adeptly. 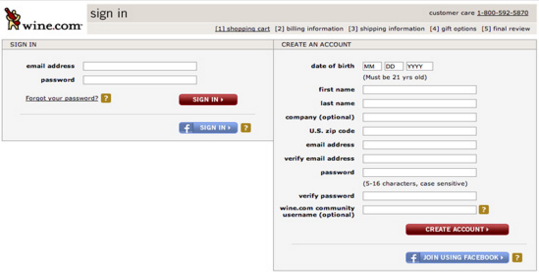 Adding custom customer attributes in Magento's default One Page Checkout is often cumbersome for developers. 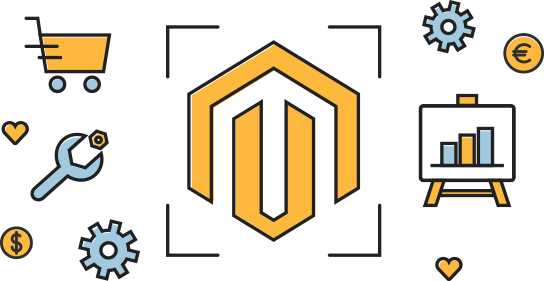 Most often programmers get stuck while resolving problems encountered in Magento checkout configuration, which is the most important aspect of an eCommerce website.